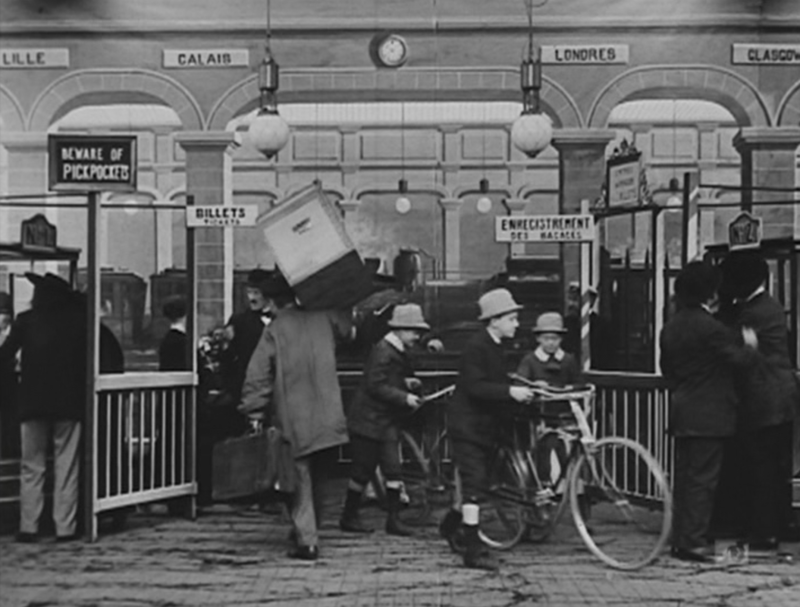 For the moment this post is just a chronological list, with a few comments and illustrations. 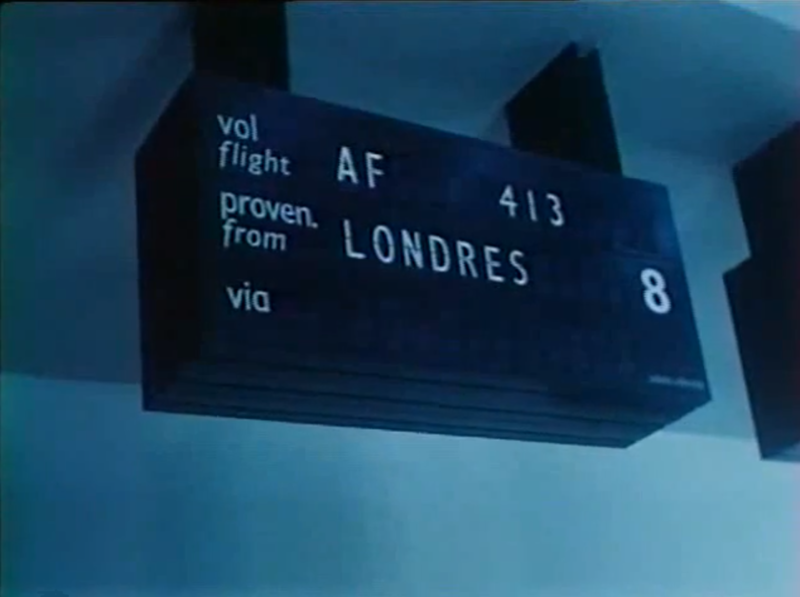 When the list gets long enough I shall try to identify some constants in what French filmmakers see or imagine when London is their object. 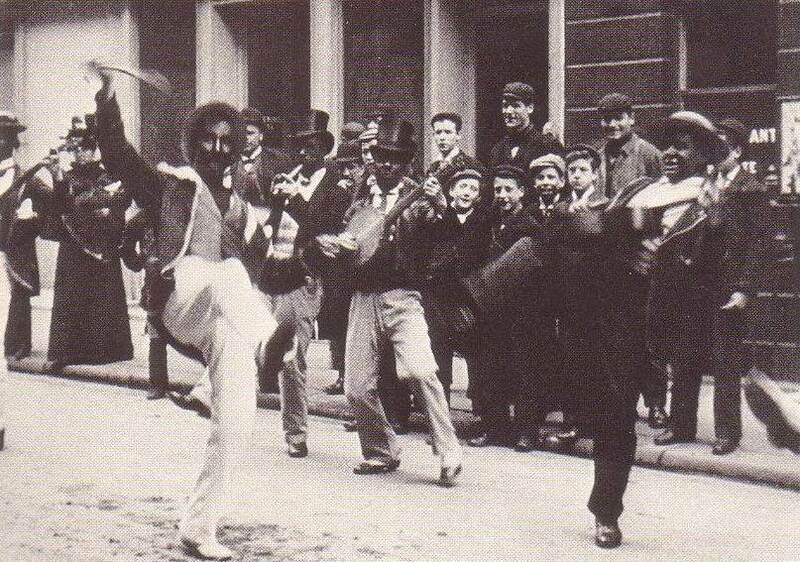 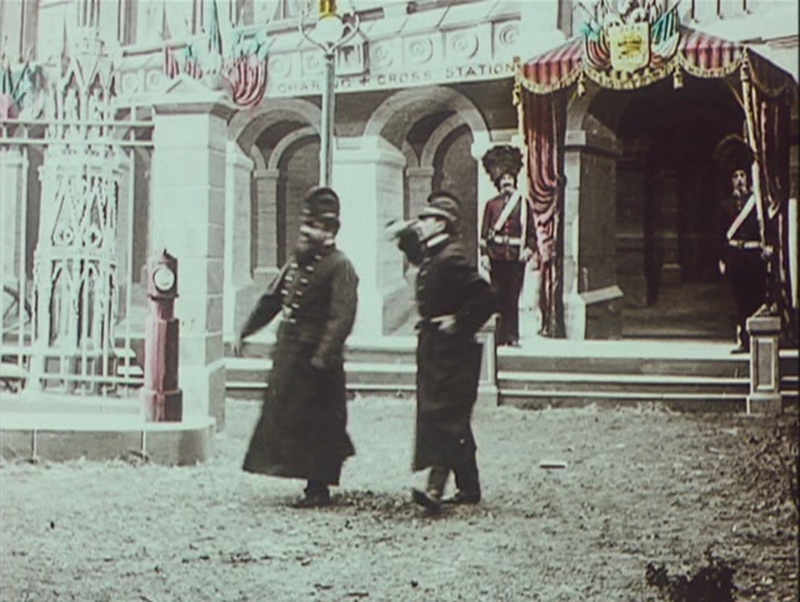 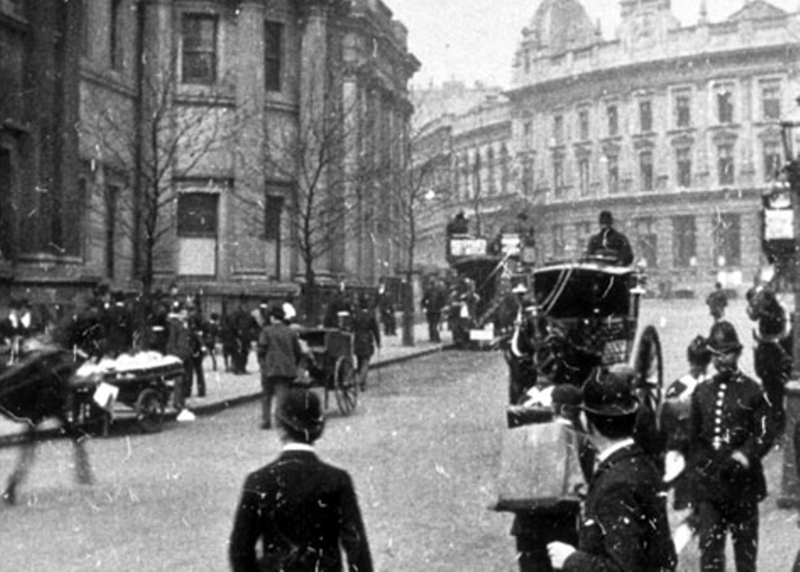 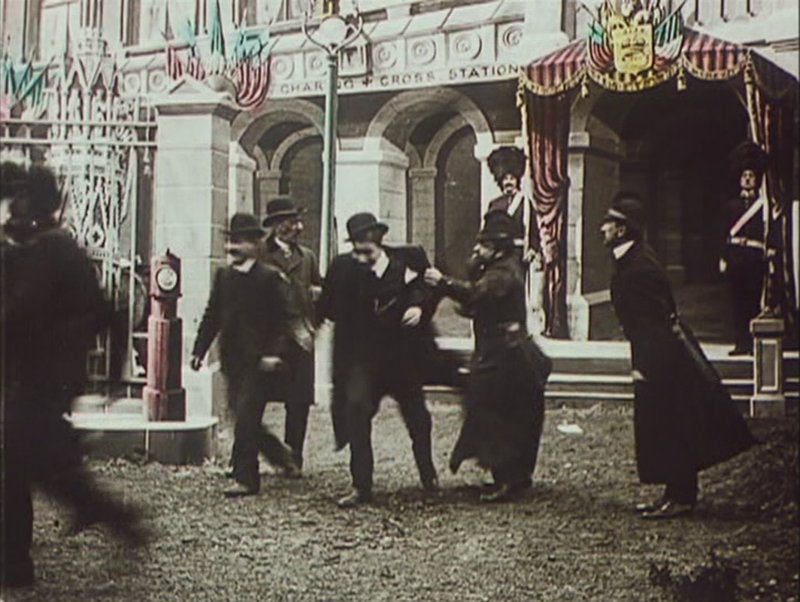 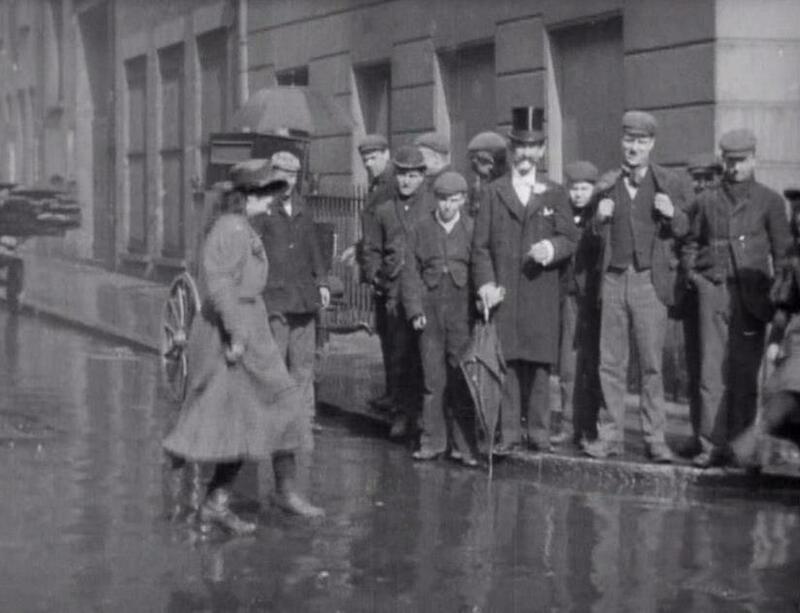 First exhibited in May 1896, this film shows a London street corner where three women dance for the benefit of a male audience. 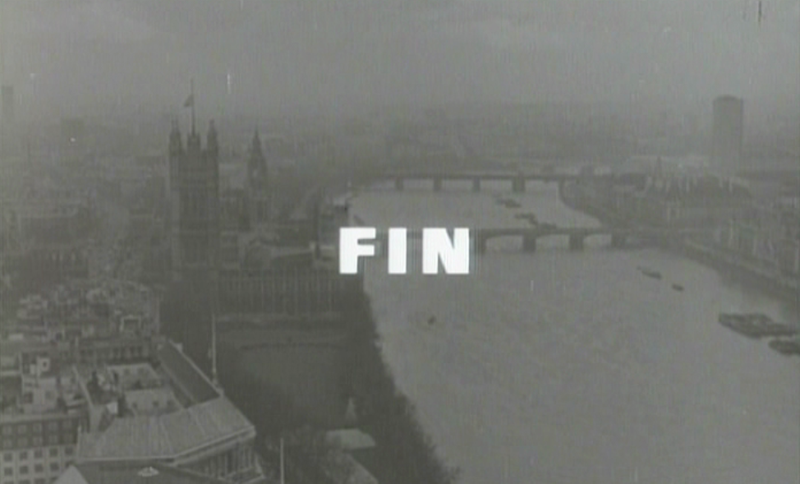 The whole film can be watched here. 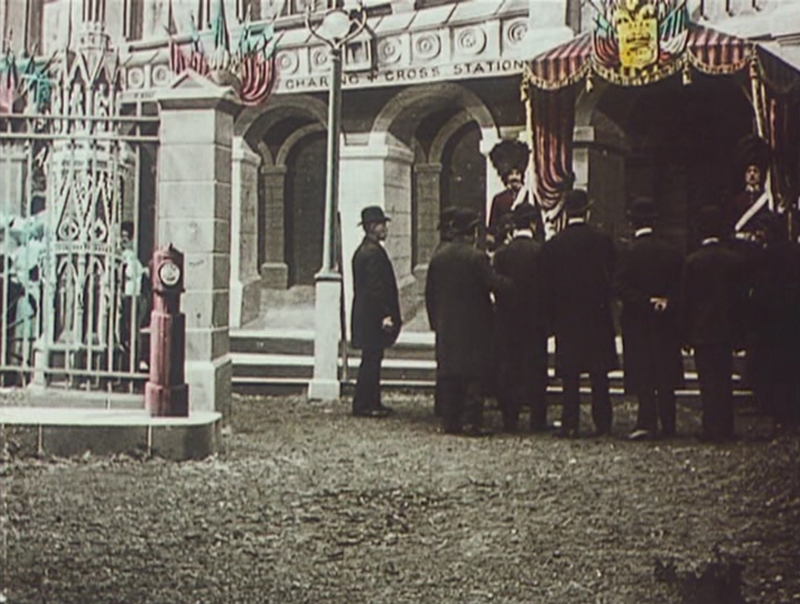 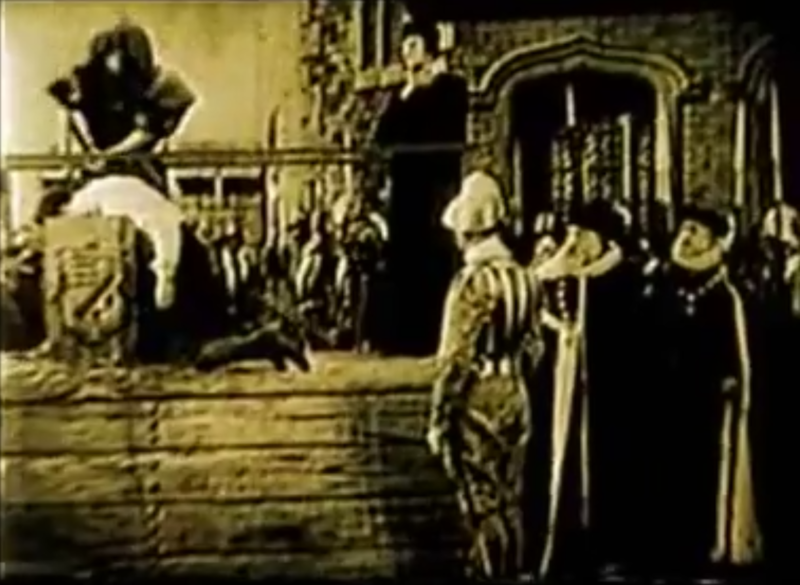 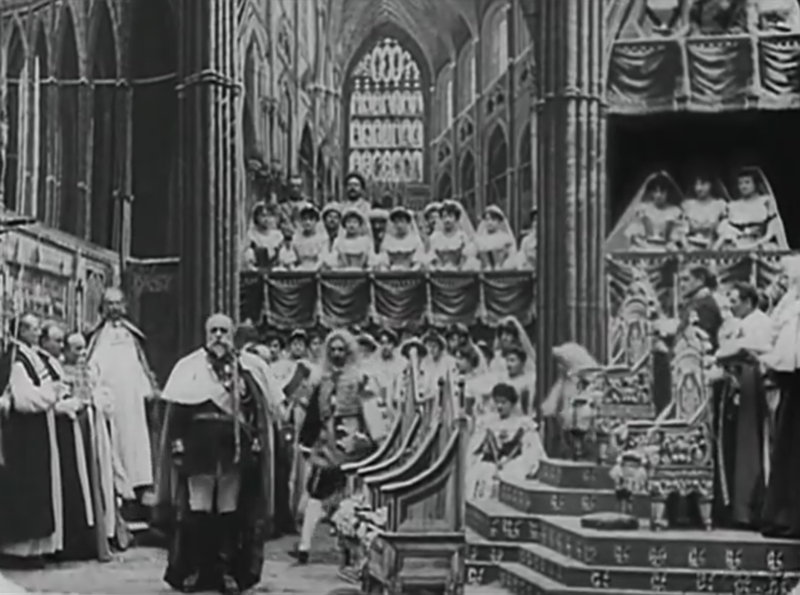 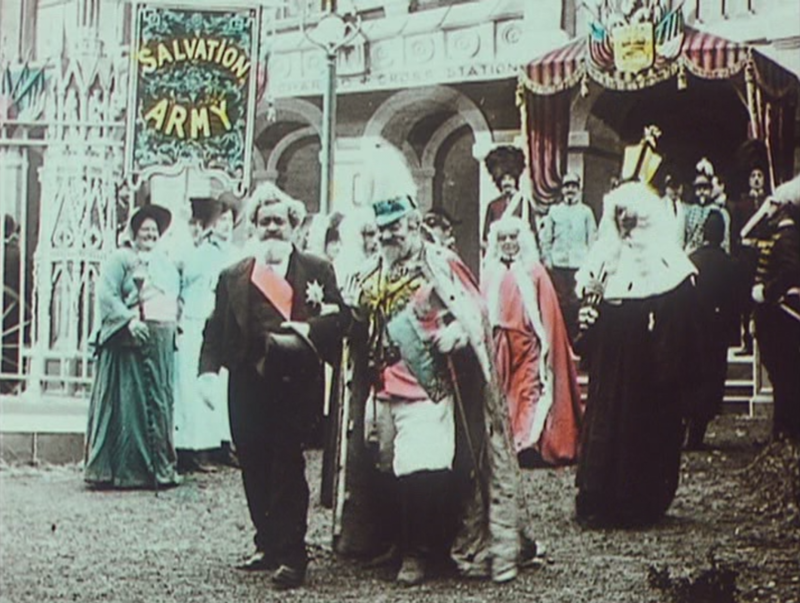 Commissioned to produce a film of Edward VII's coronation in Westminster Abbey, where no cameras were allowed, Méliès reconstructed the event in his Montreuil studio. 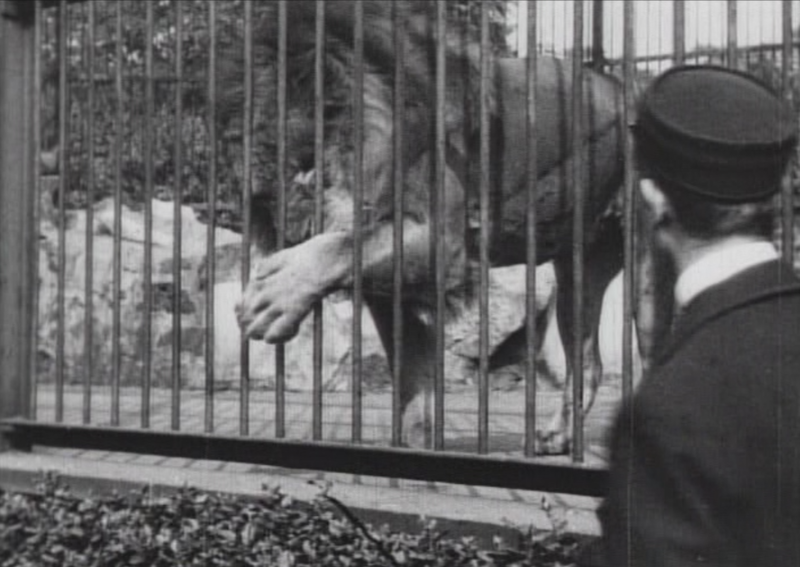 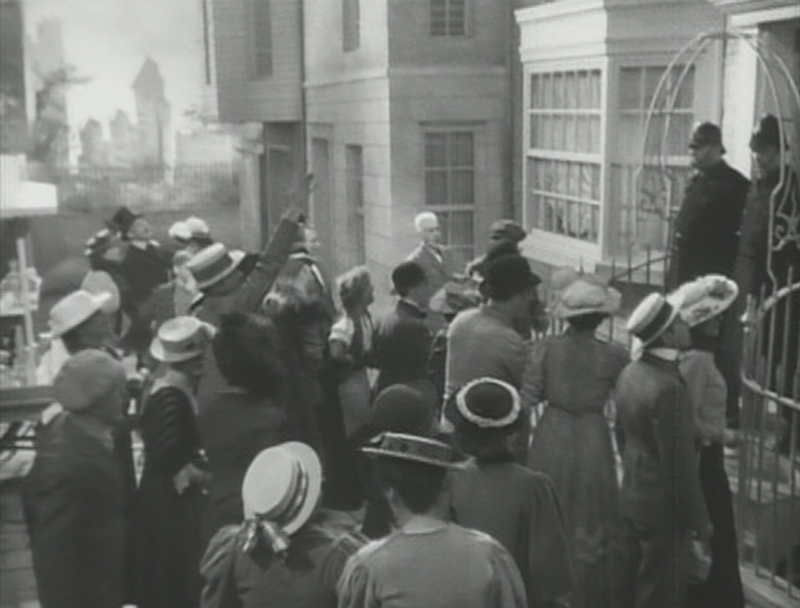 For a detailed account see Elizabeth Ezra, George Méliès (Manchester: Manchester University Press, 2000), pp.66-68: here. 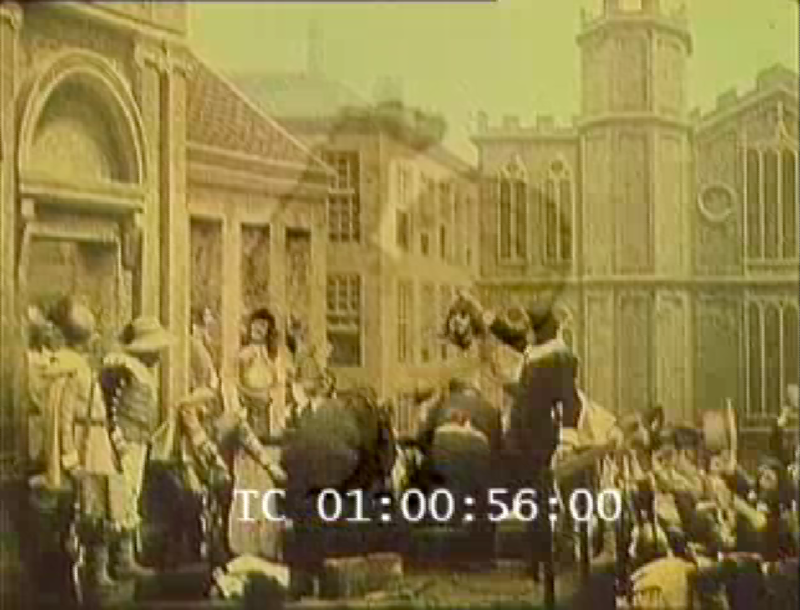 The climax of this highly melodramatic version of historical events is the execution of Charles I in front of the 'scrupulously reconstructed' palace at Whitehall. 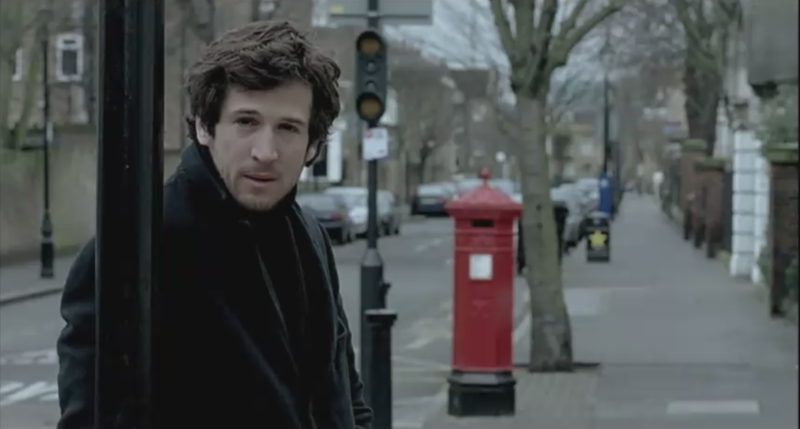 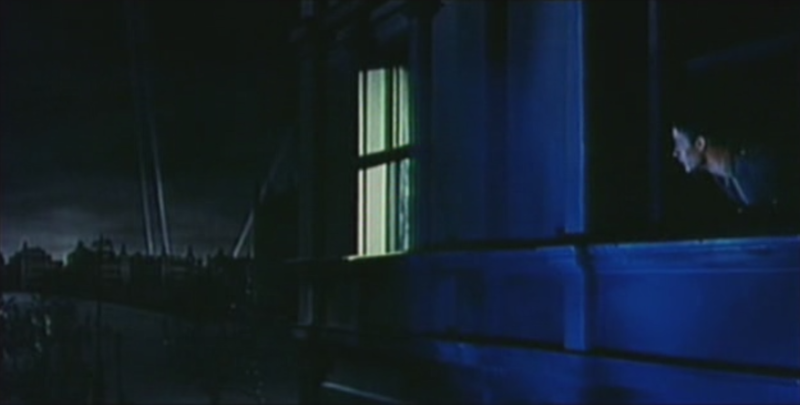 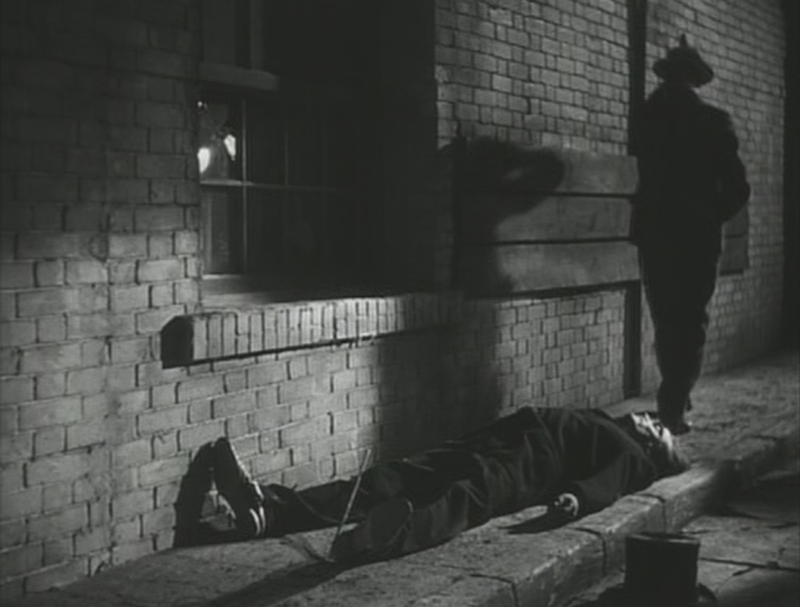 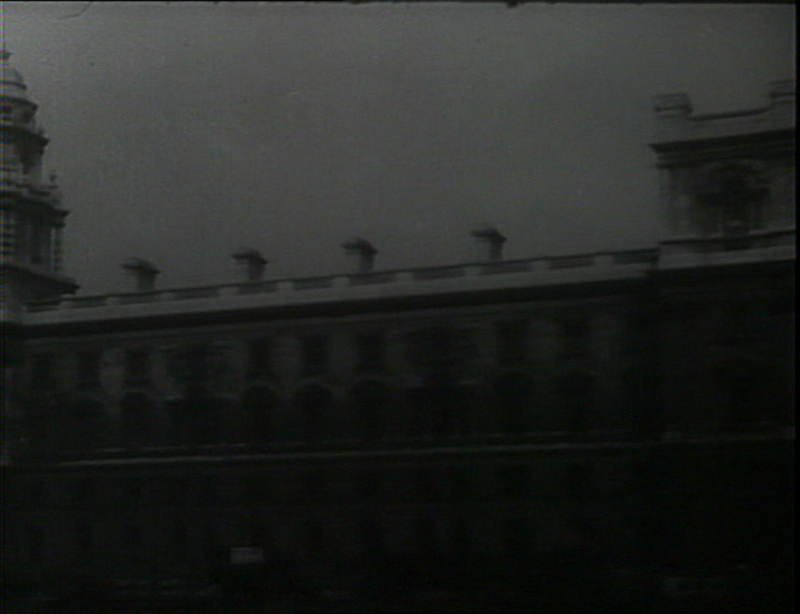 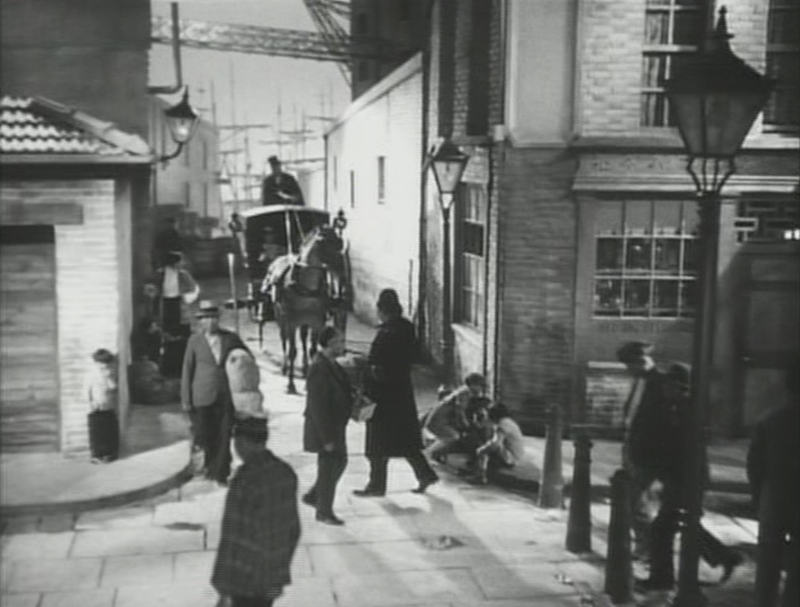 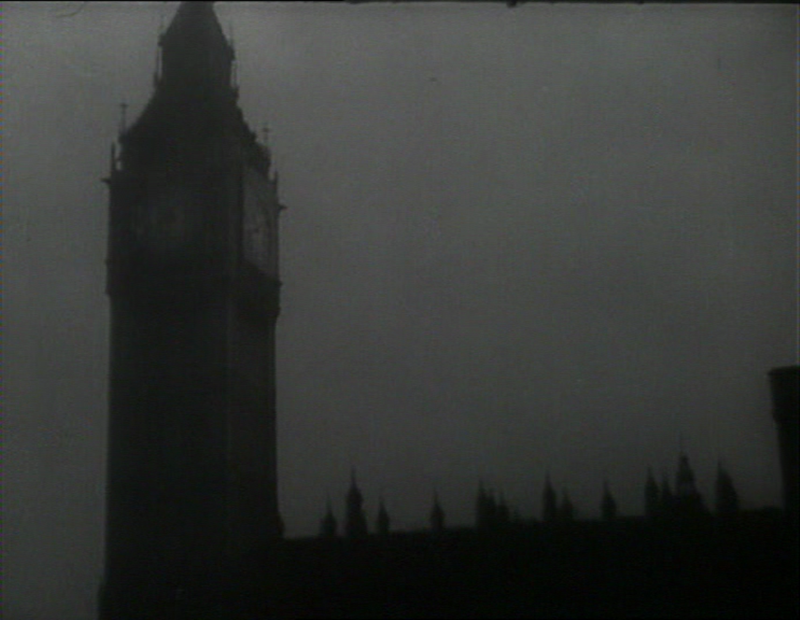 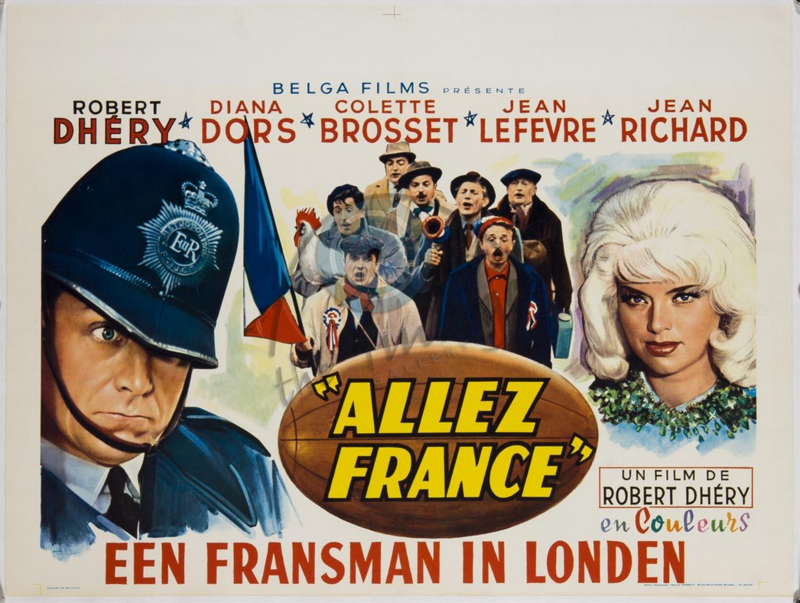 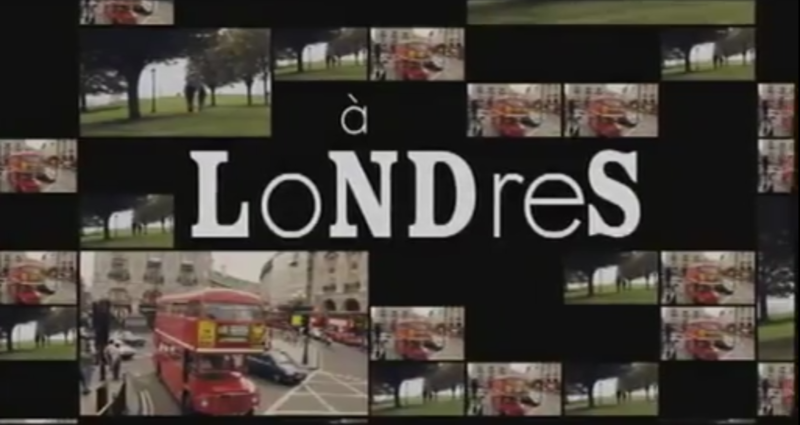 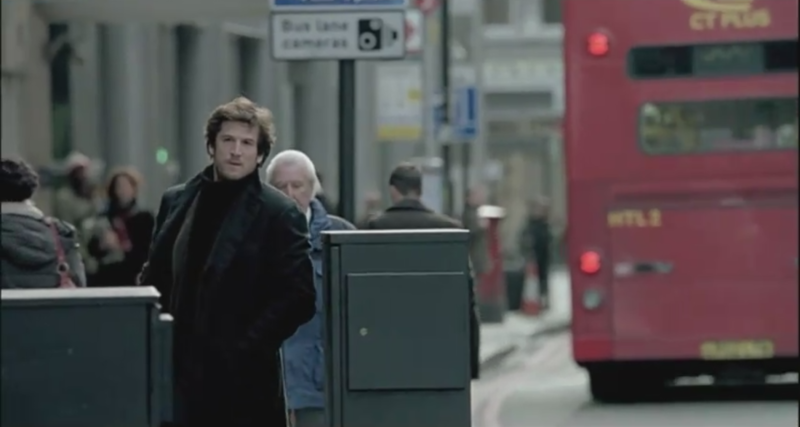 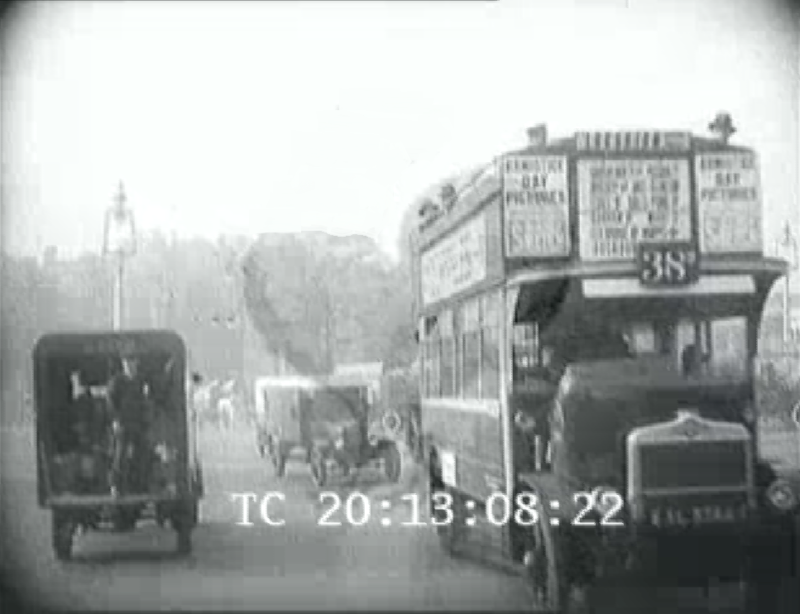 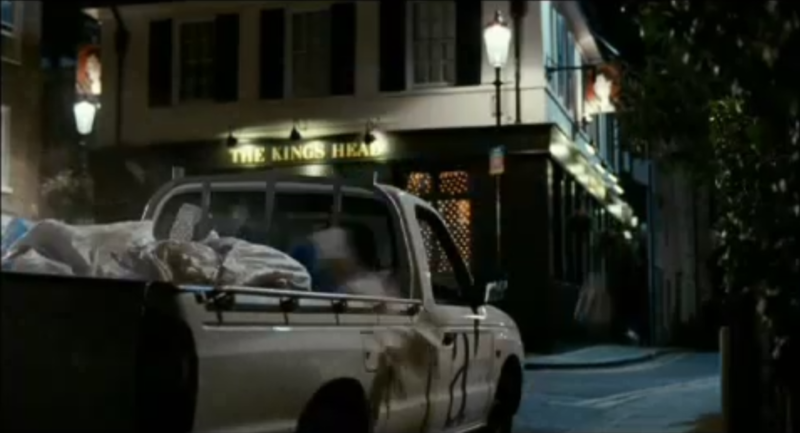 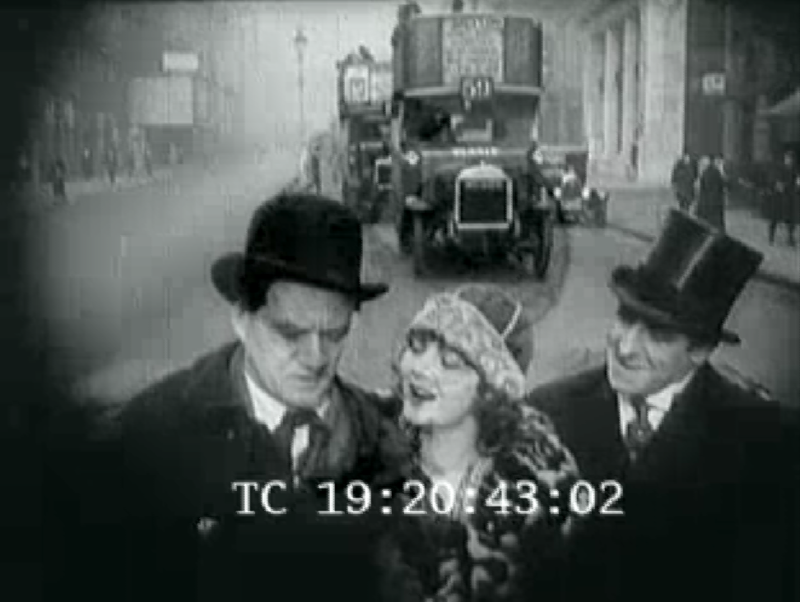 This Paris-made melodrama includes street views of London as back projection to car rides or as inserts in scenes of characters walking in the city. 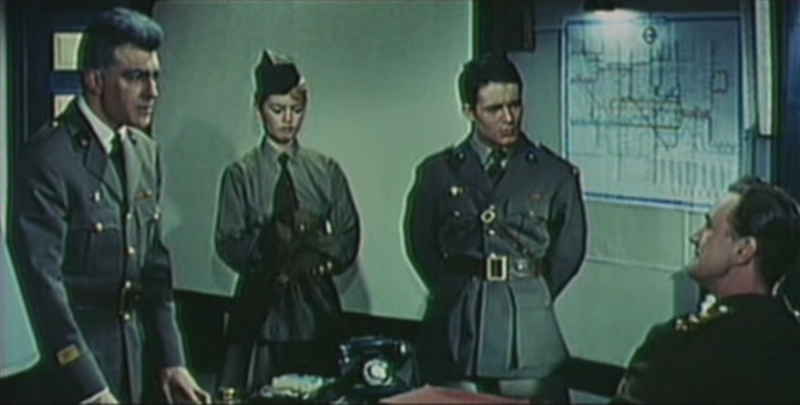 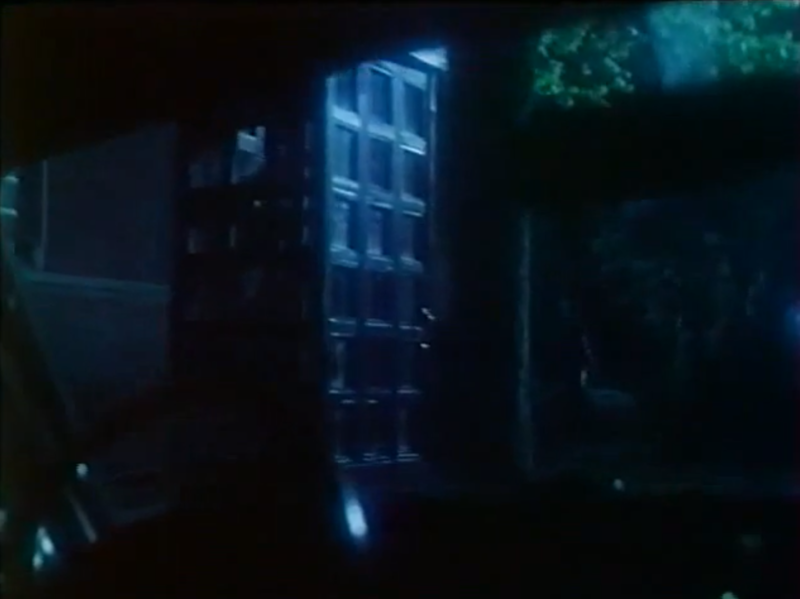 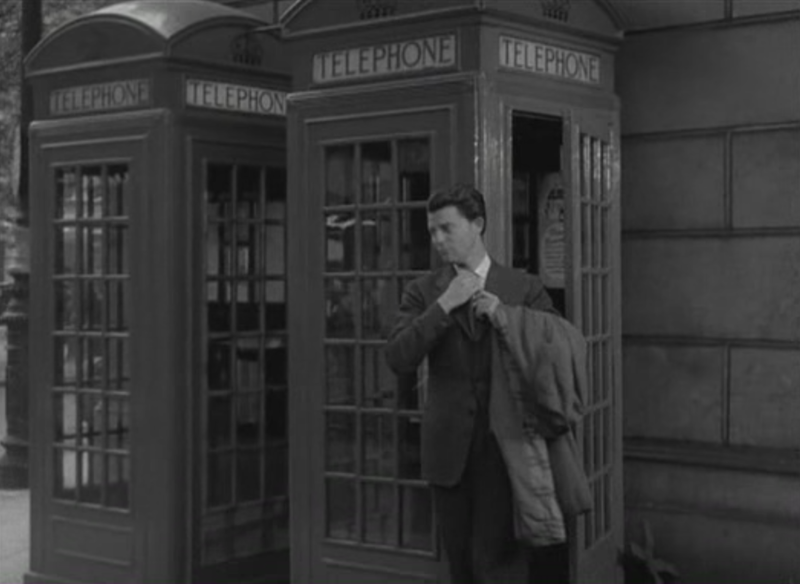 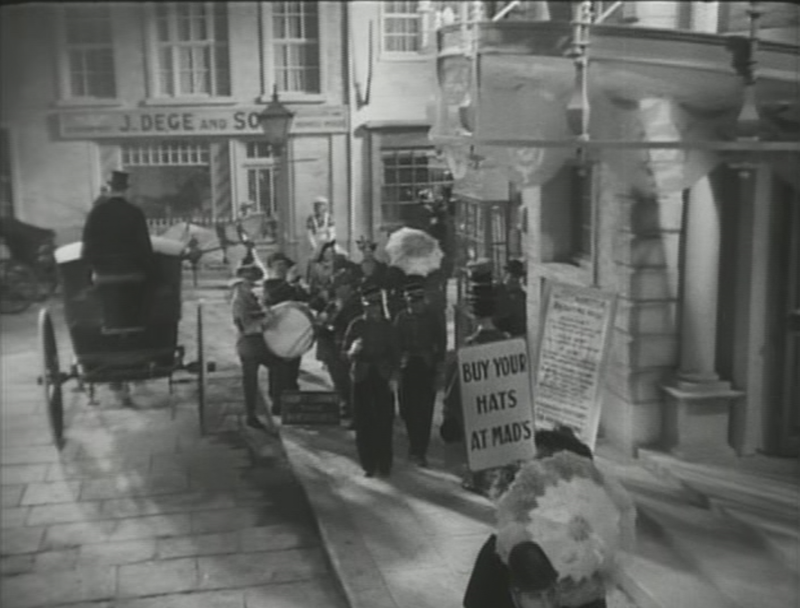 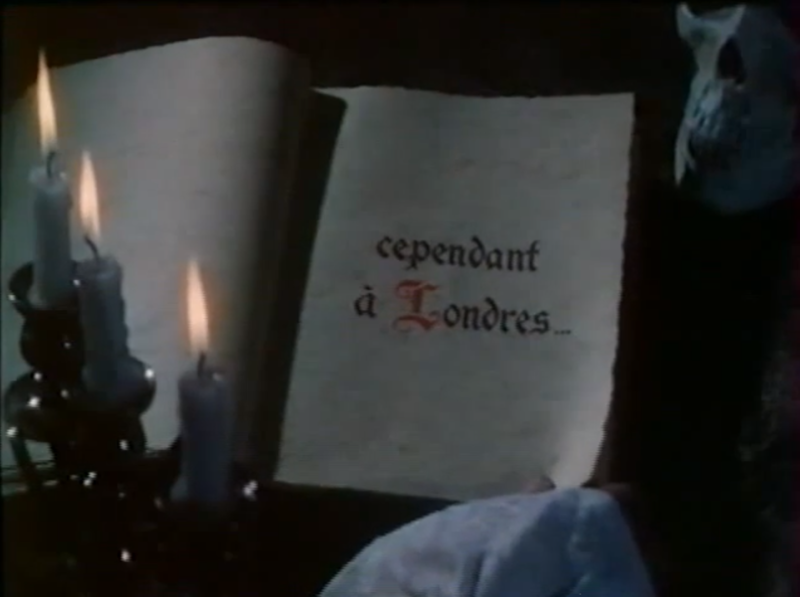 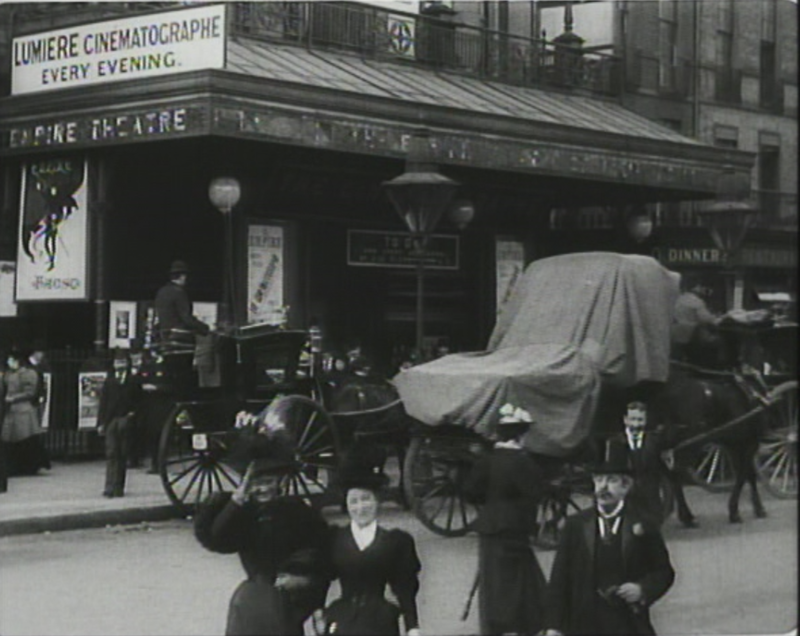 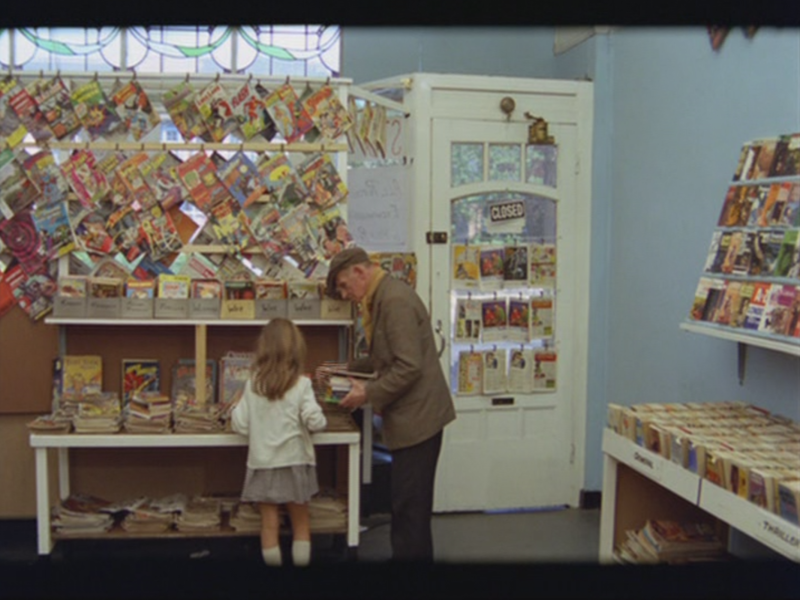 The frame above illustrates the film's humour about its own Frenchness, placing the authentic Frenchman Gérard Philipe in front of Leicester Square cinemas playing Moulin Rouge and Lili, Hollywood visions of an ersatz Frenchness. 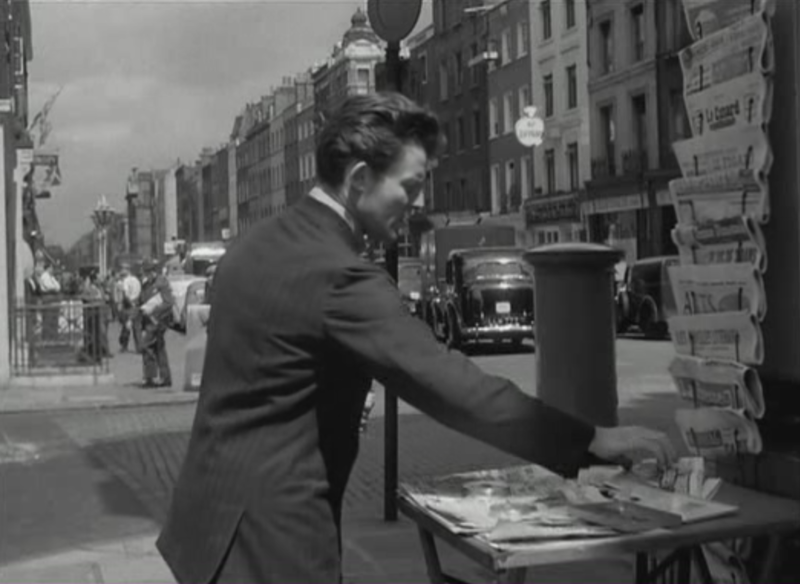 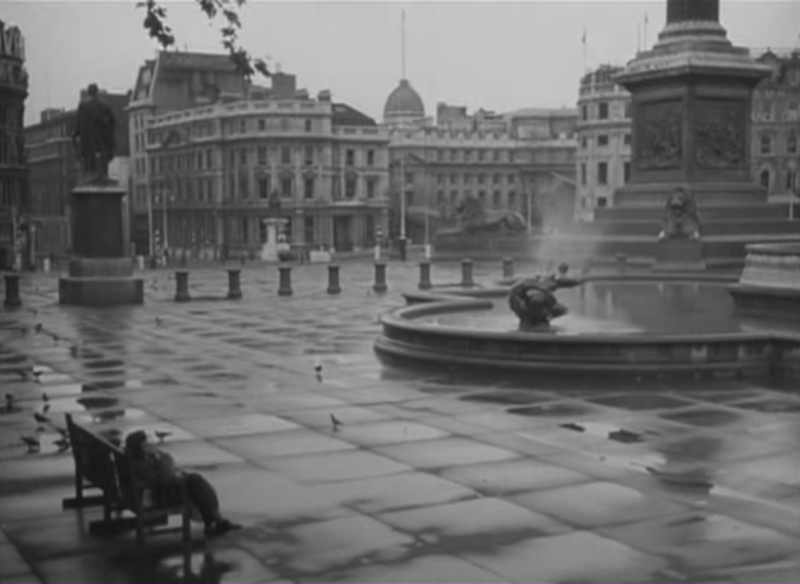 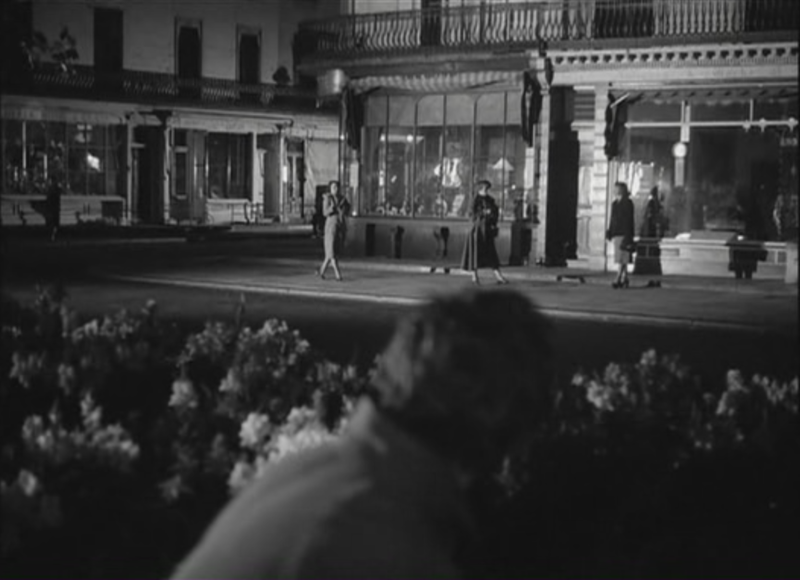 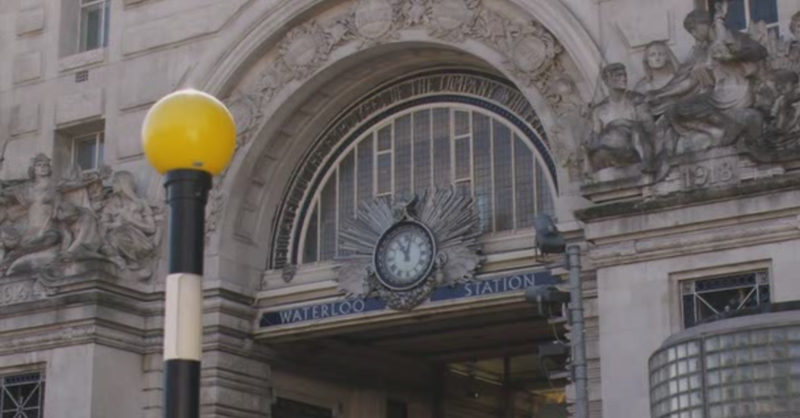 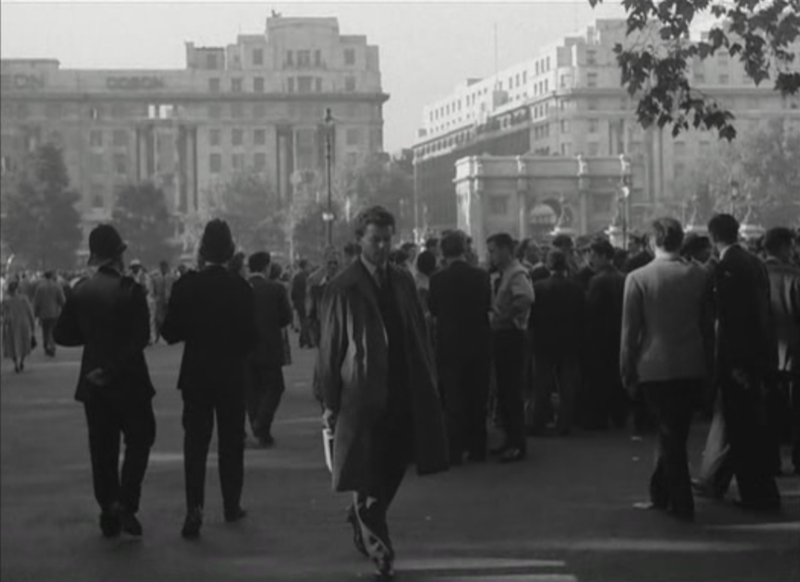 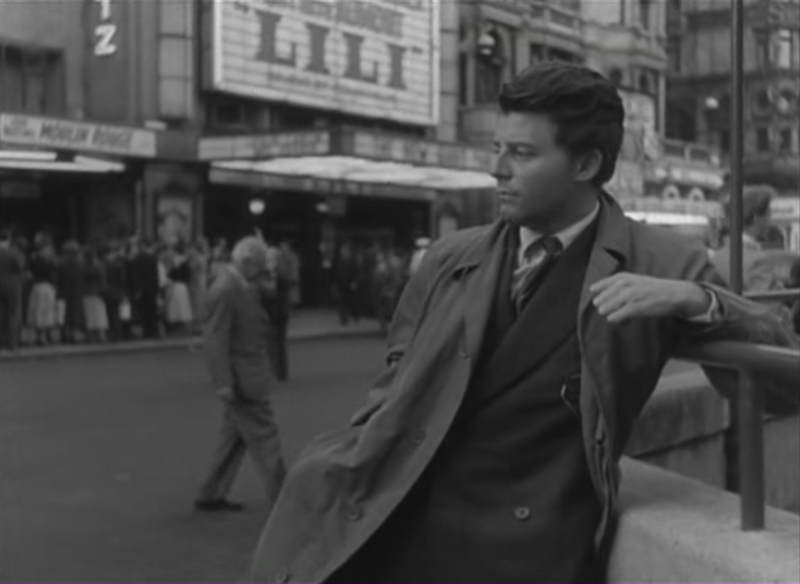 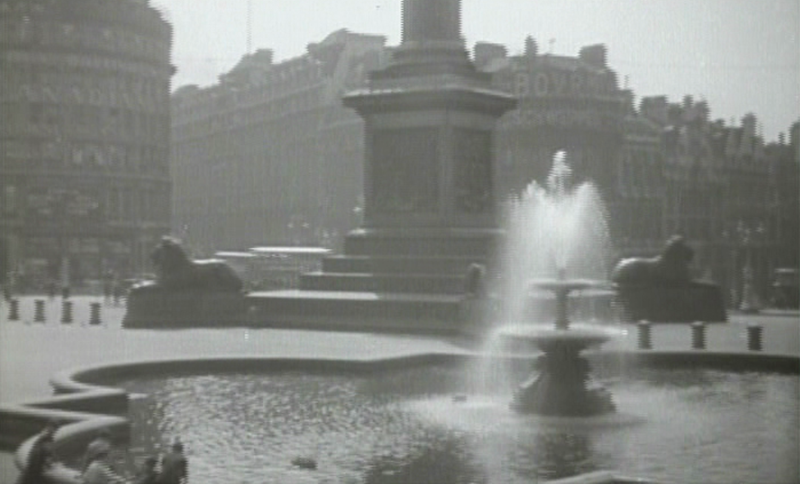 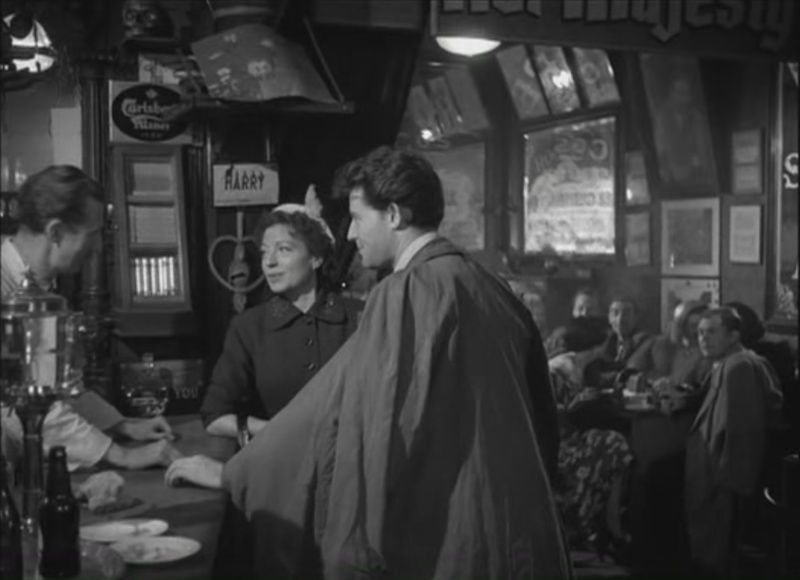 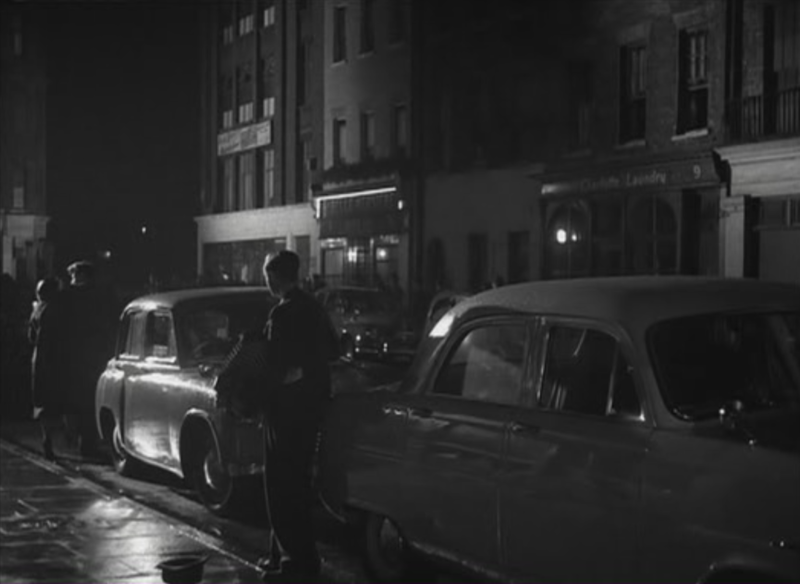 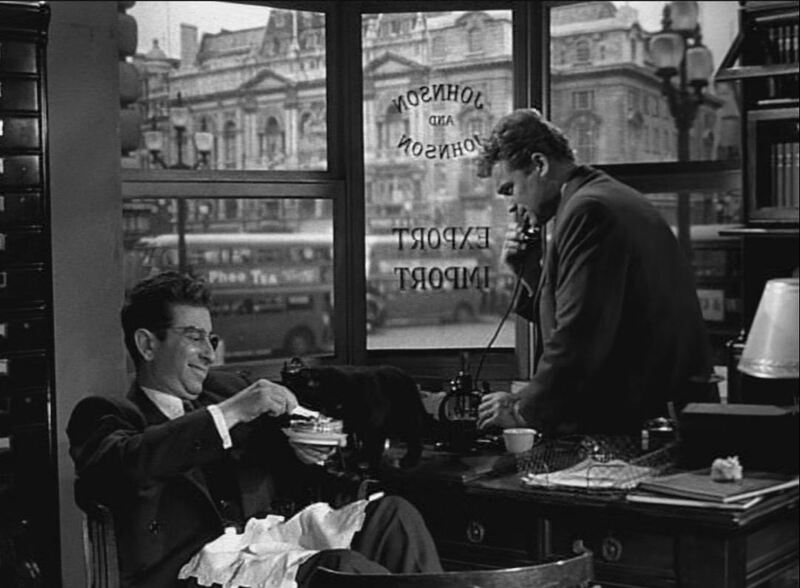 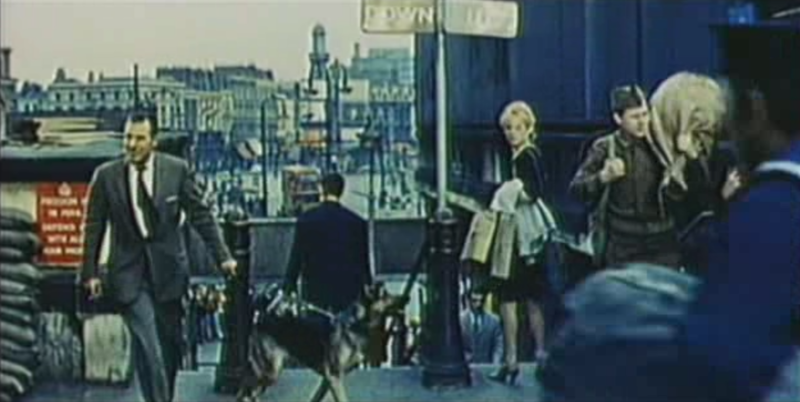 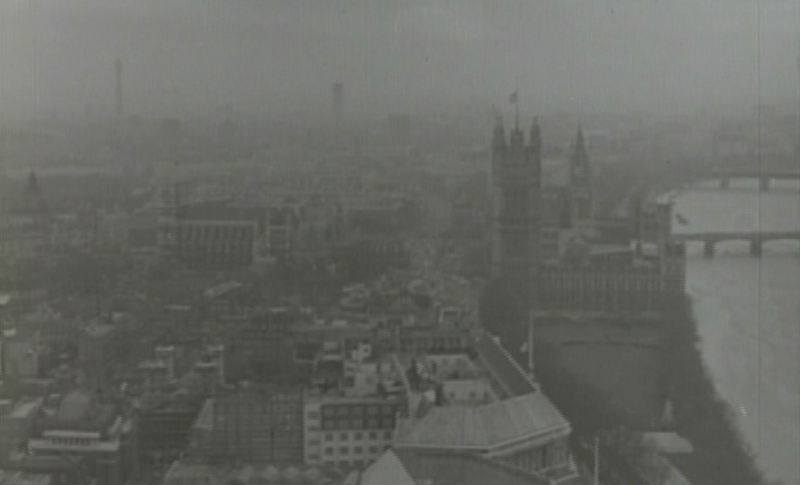 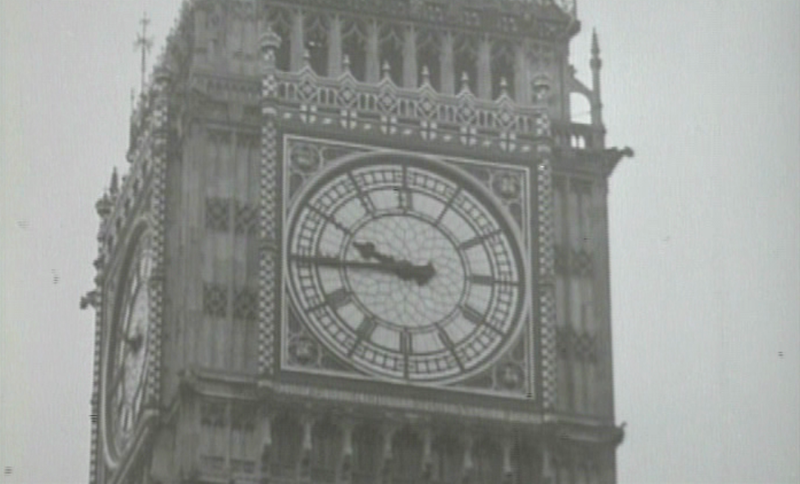 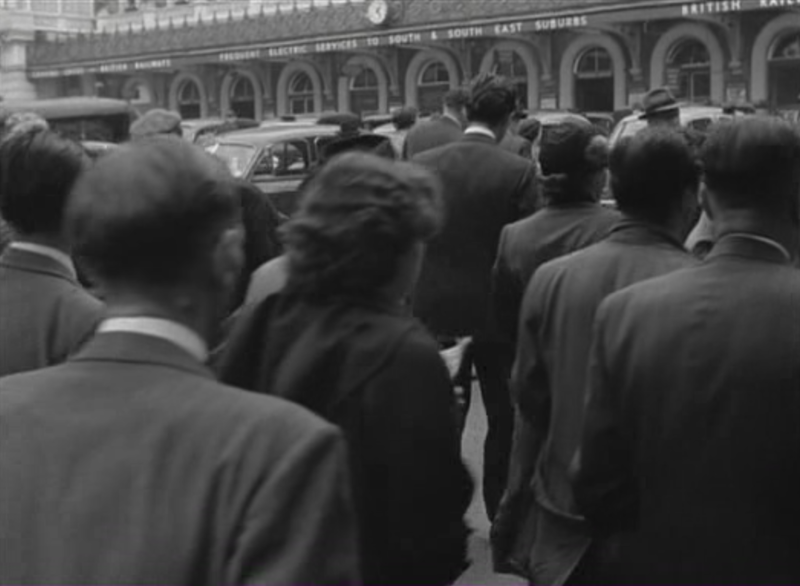 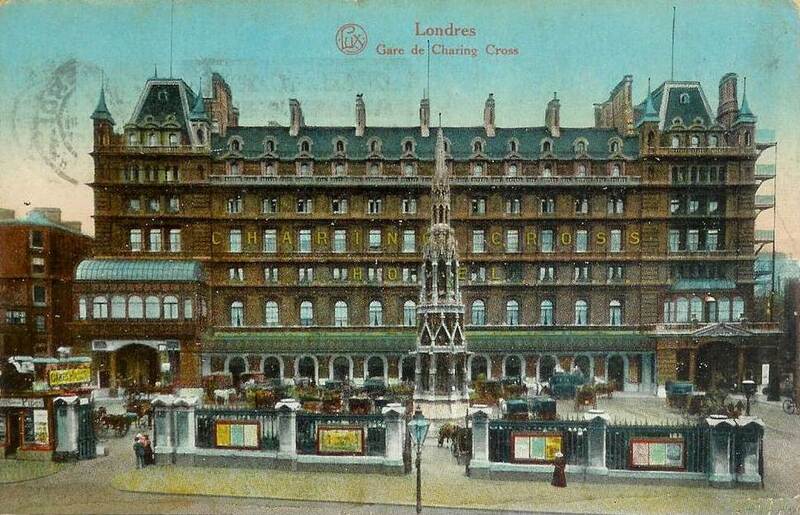 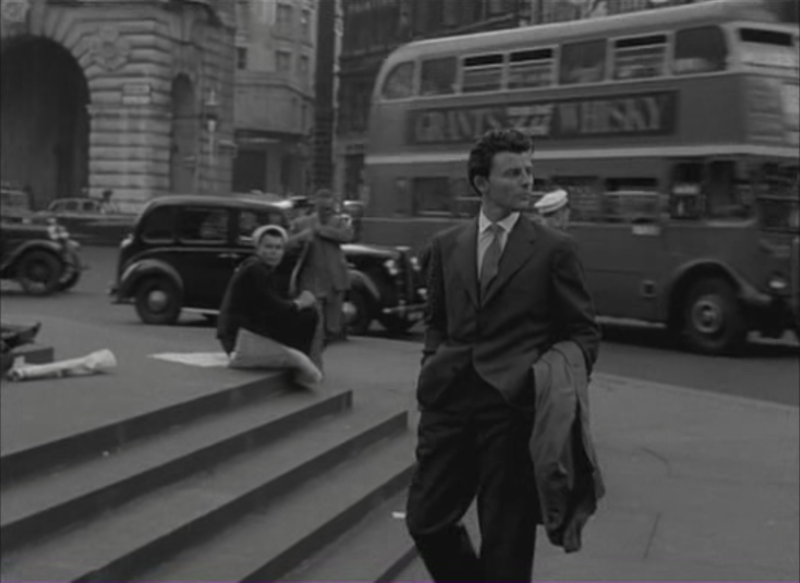 A brief glimpse of Piccadilly Circus in Dassin's Paris-centred film. 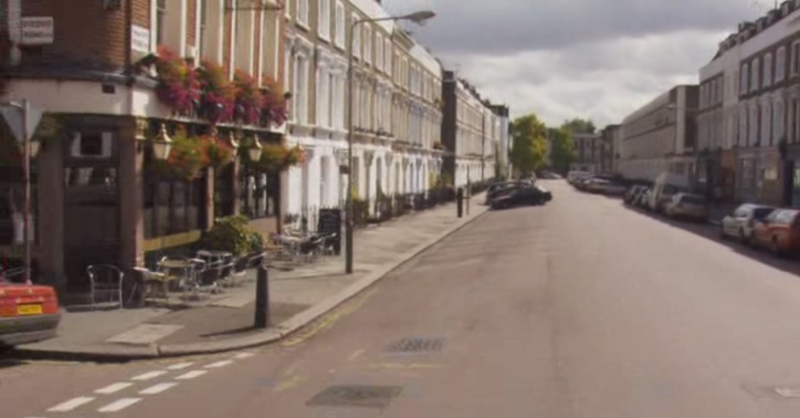 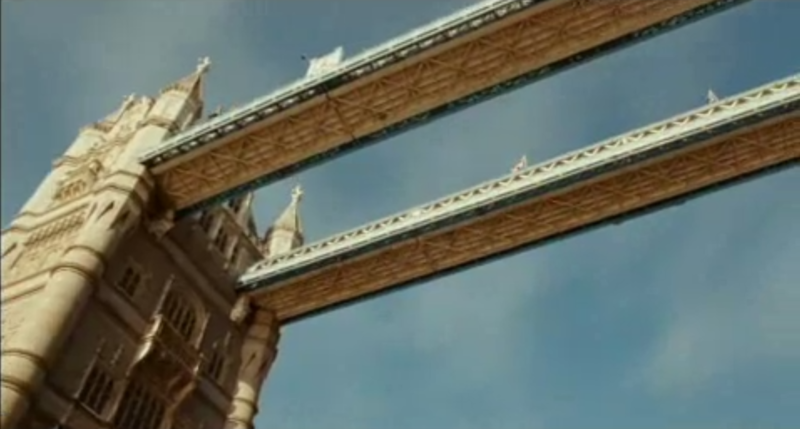 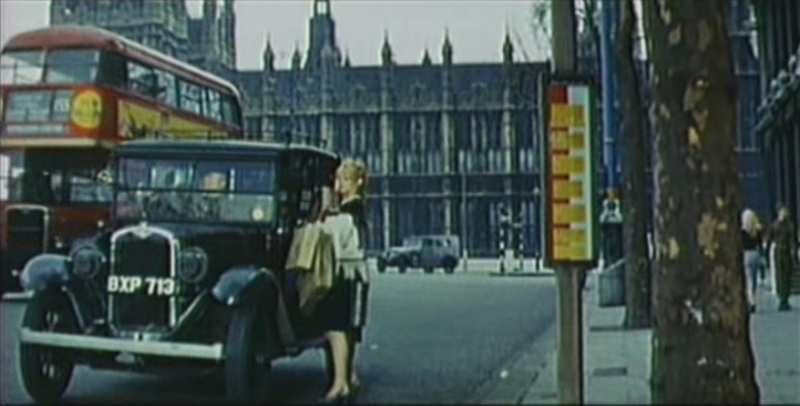 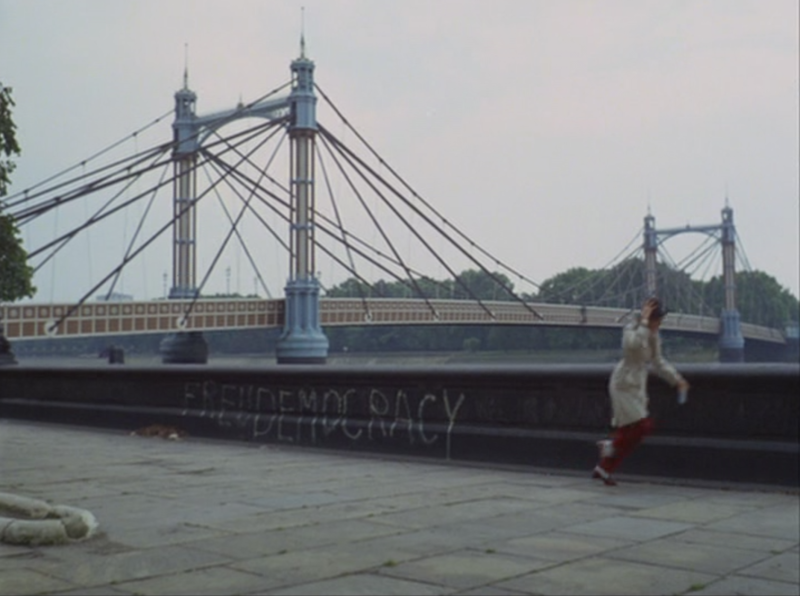 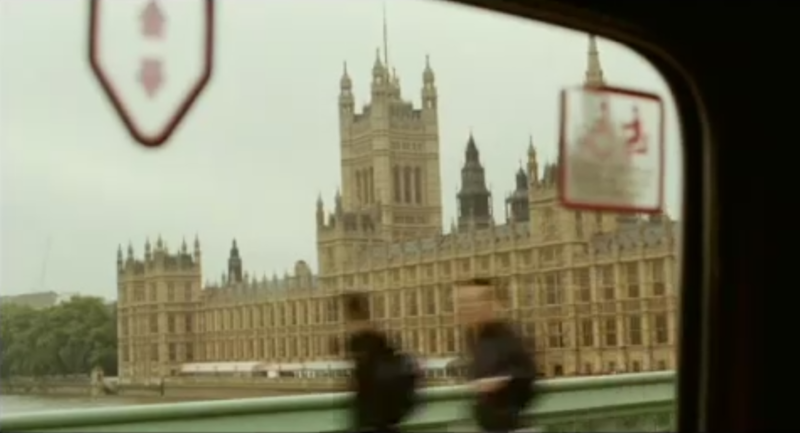 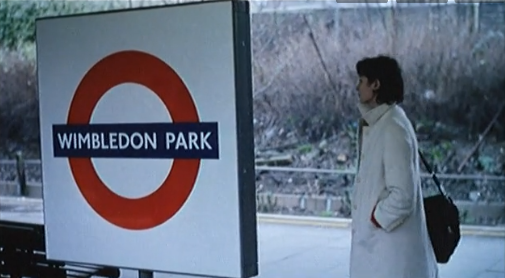 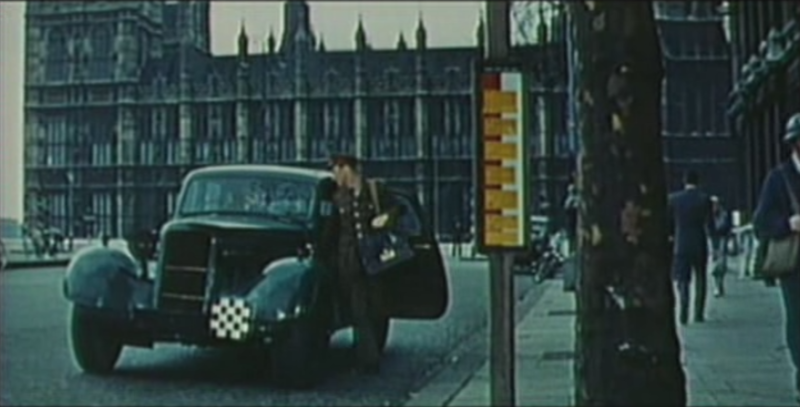 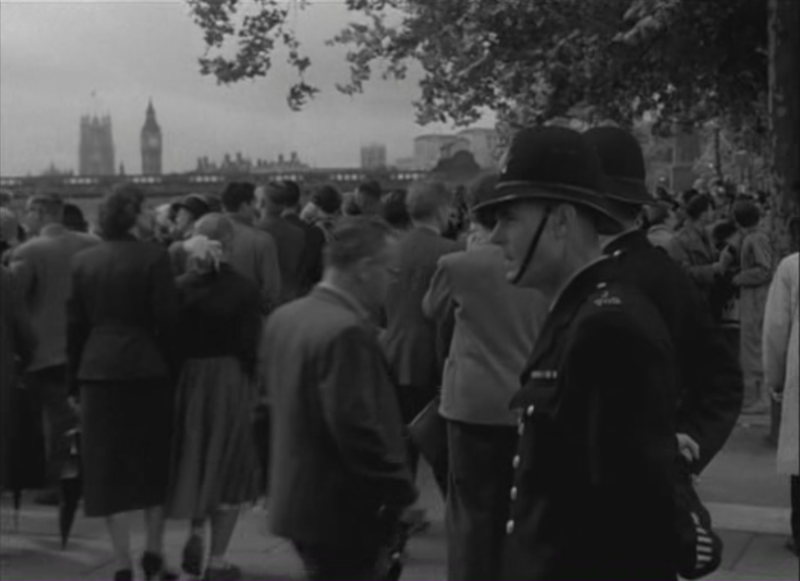 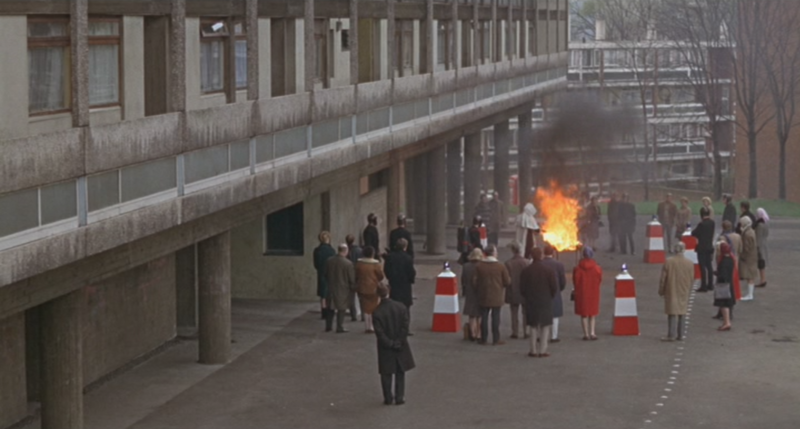 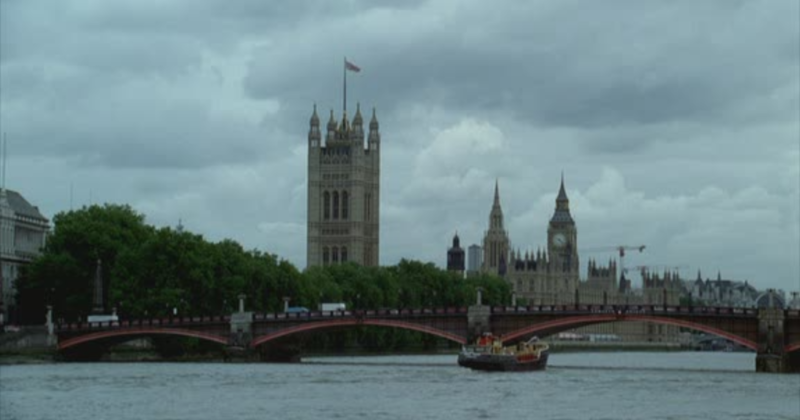 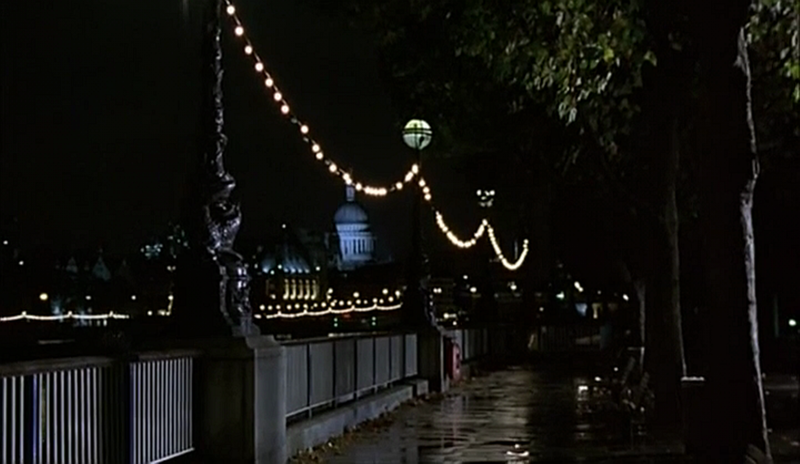 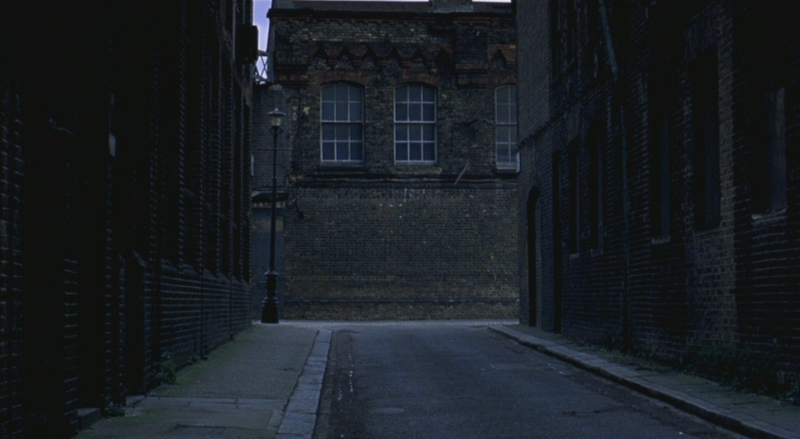 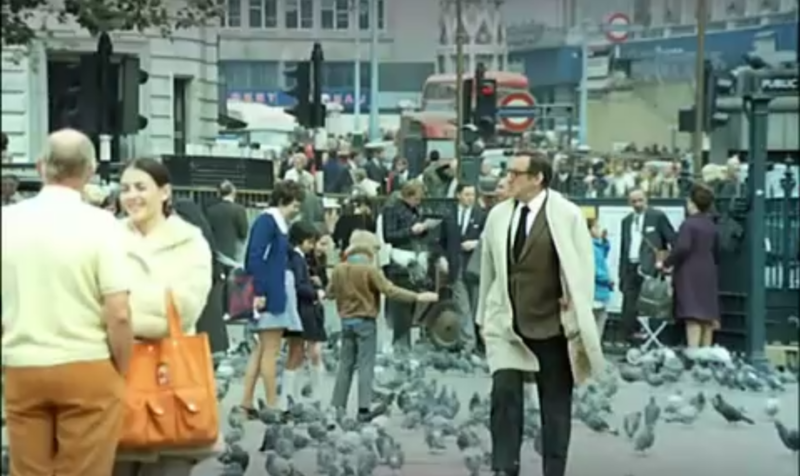 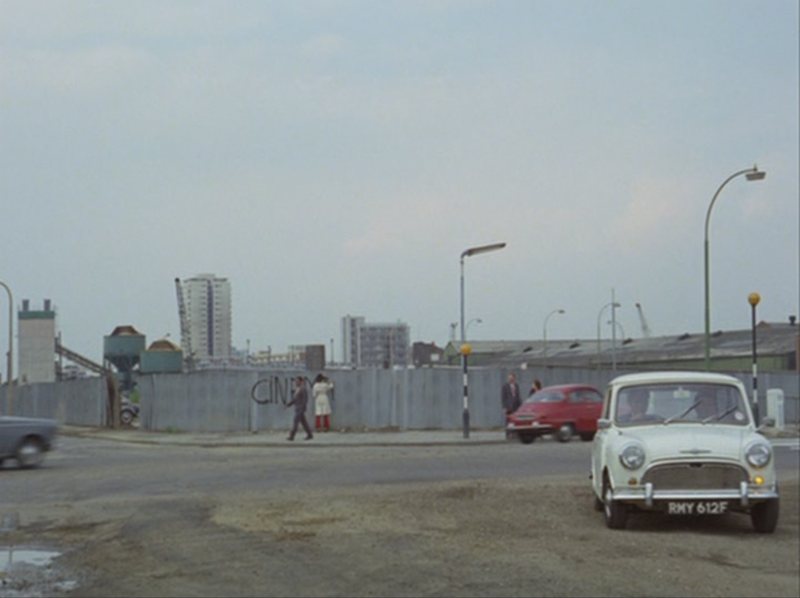 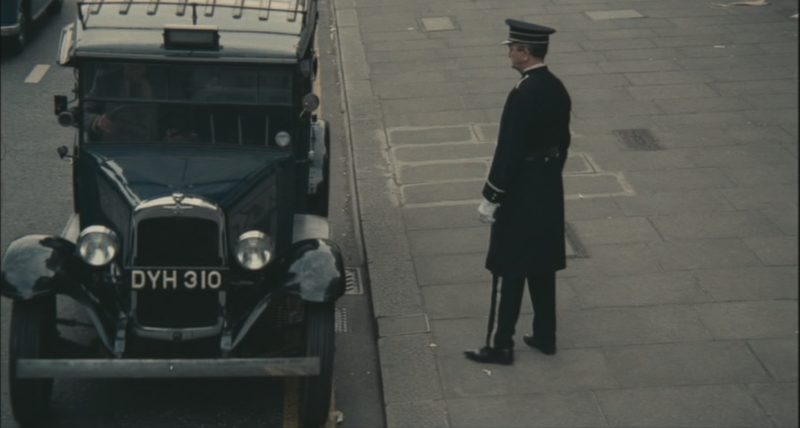 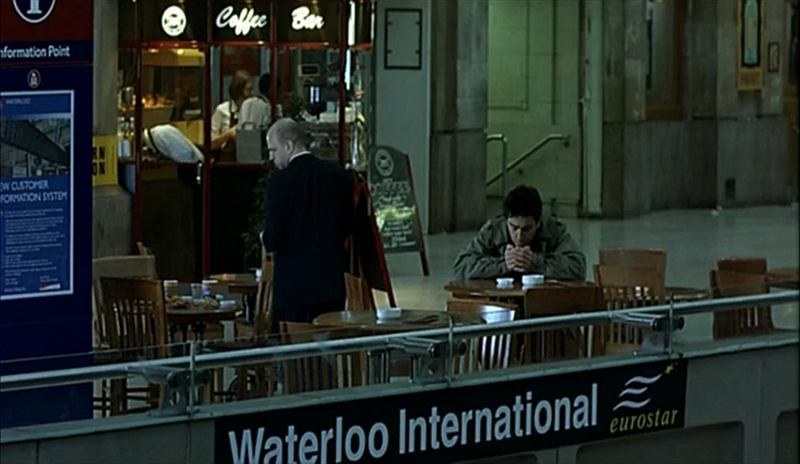 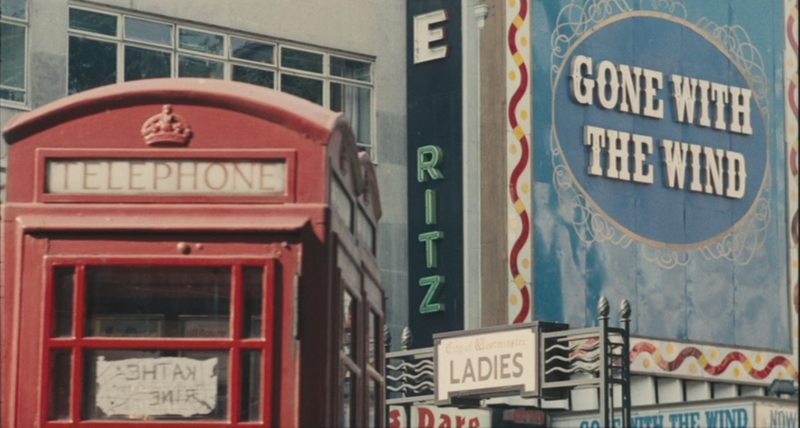 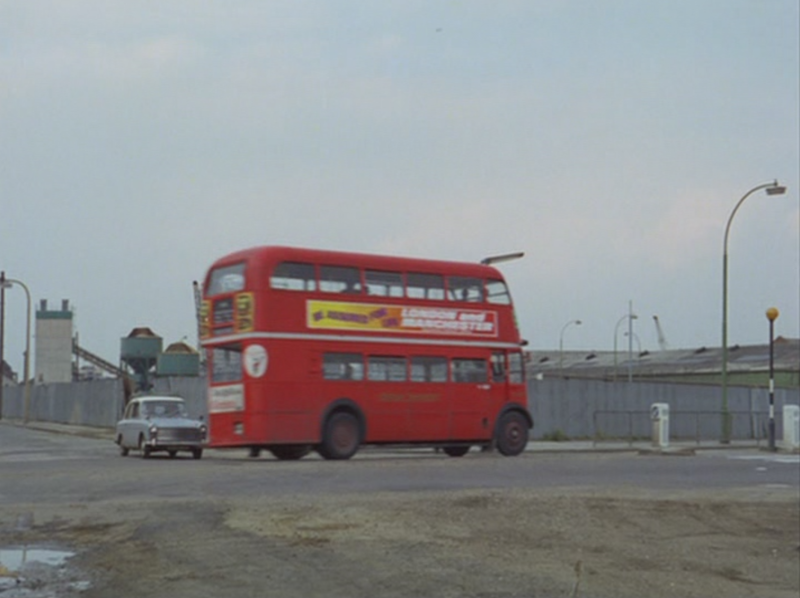 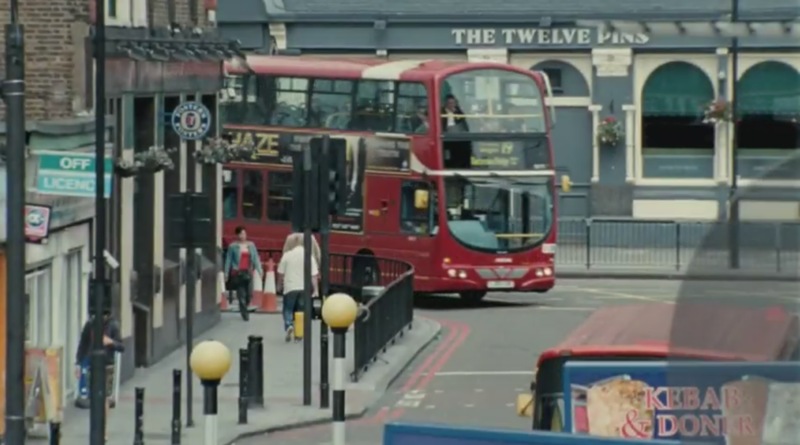 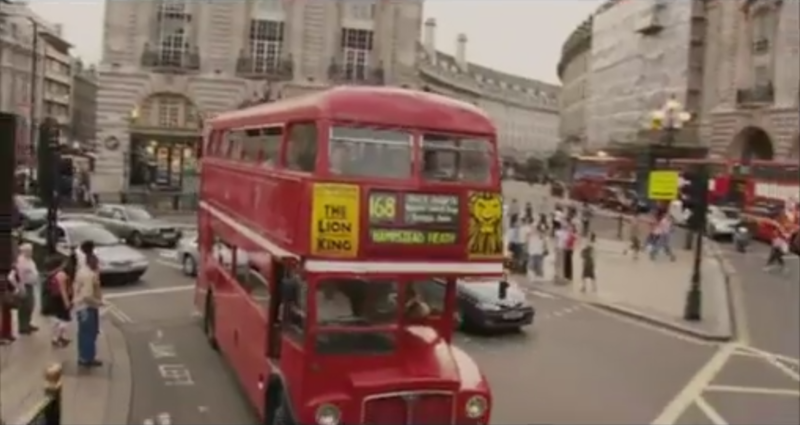 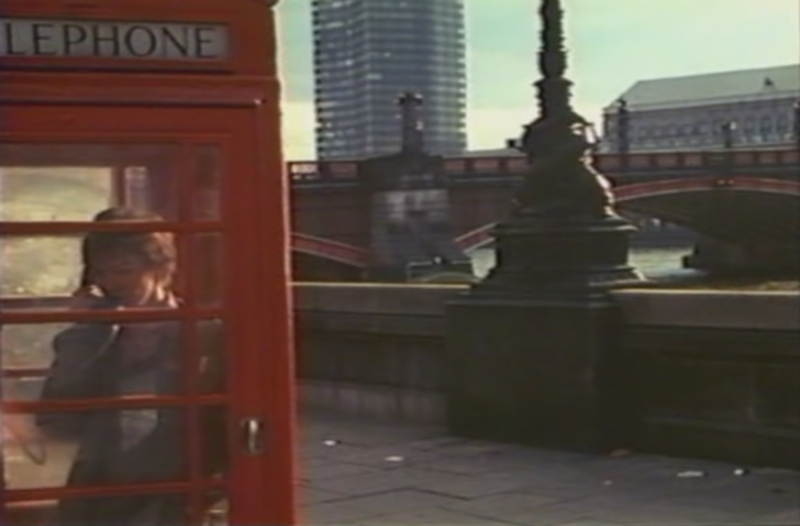 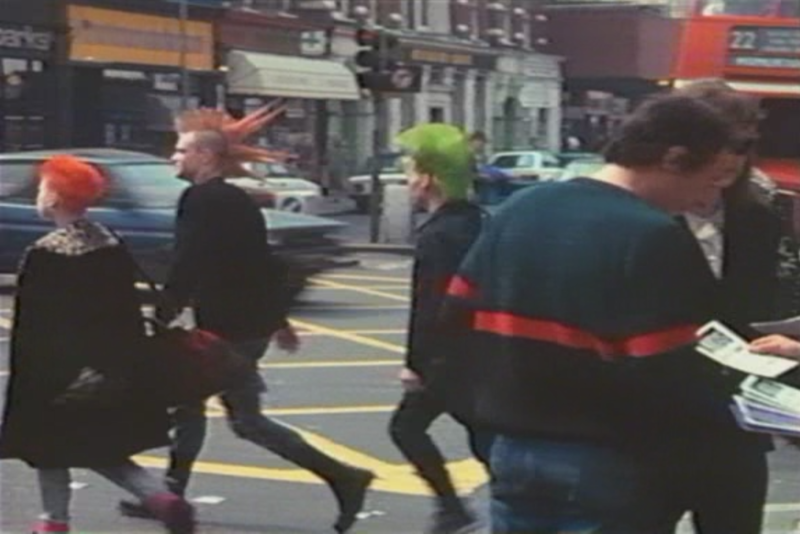 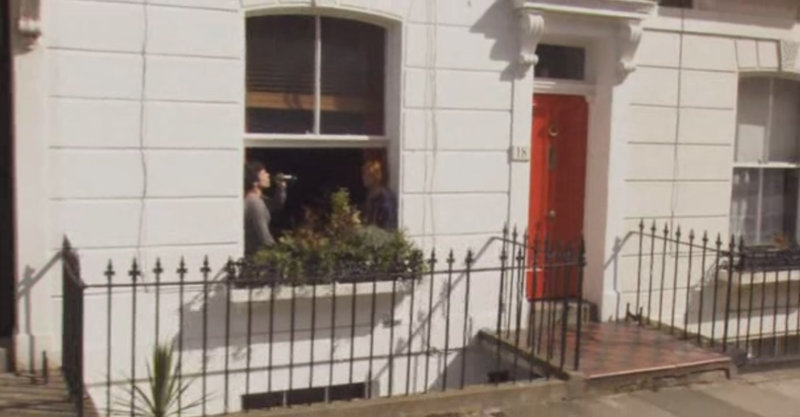 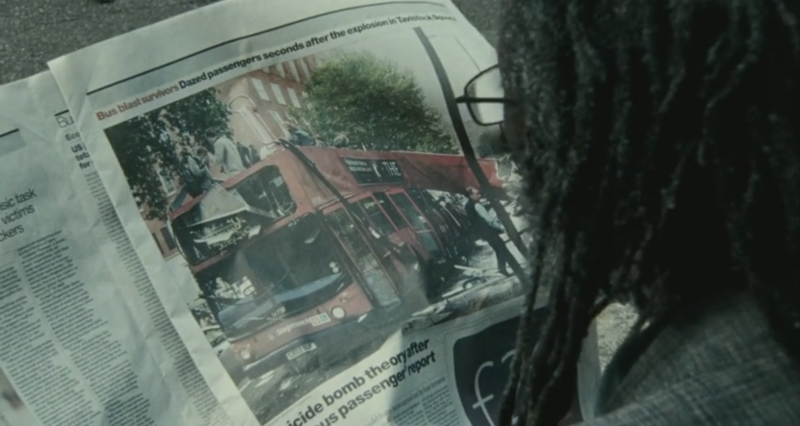 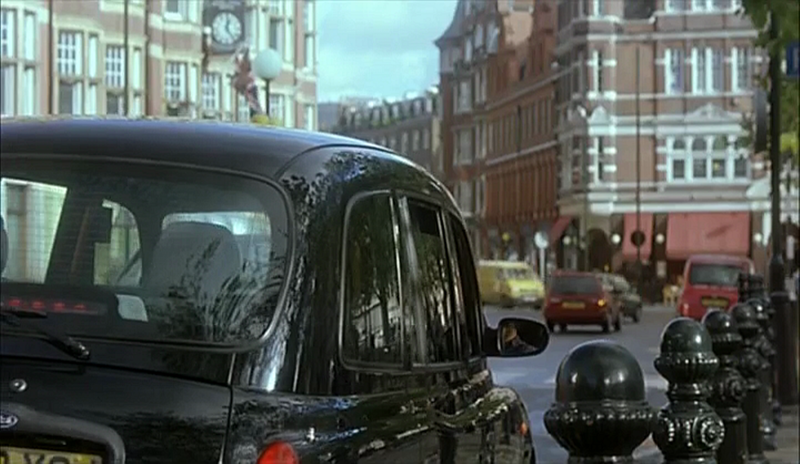 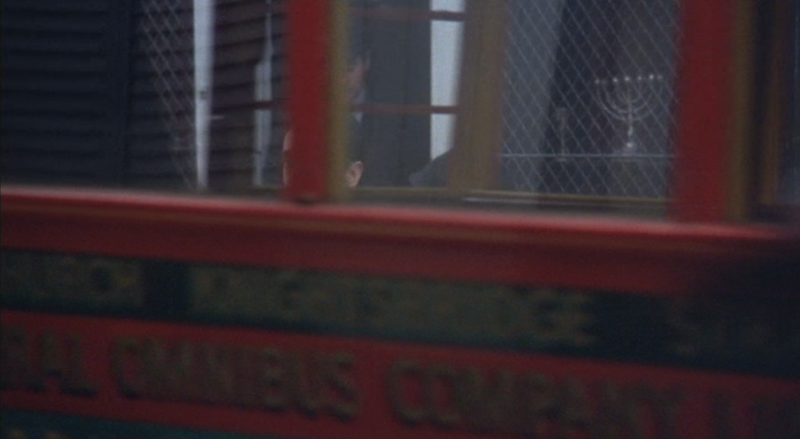 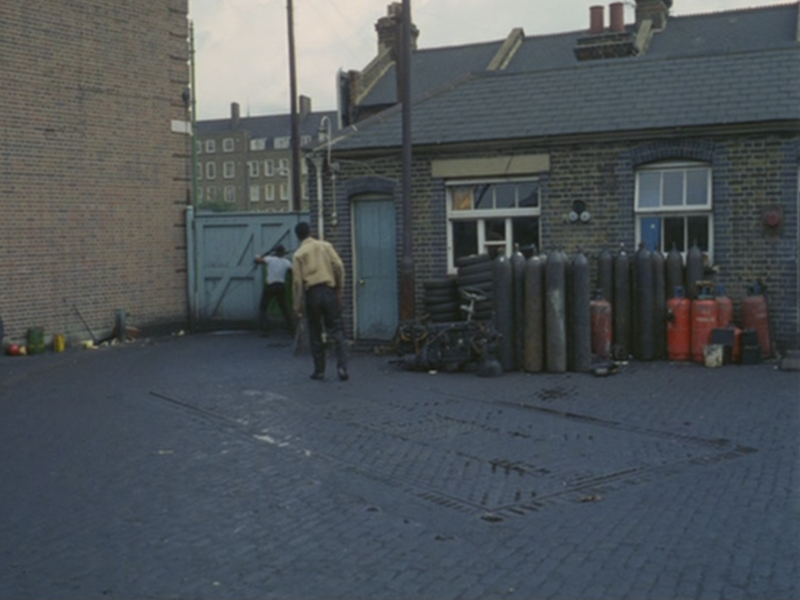 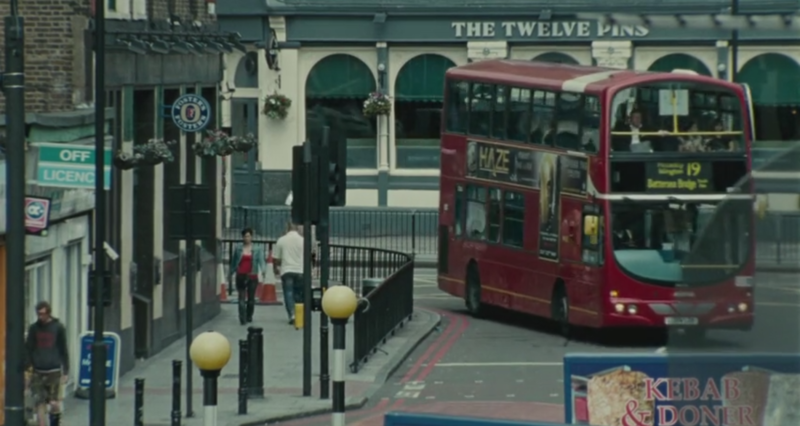 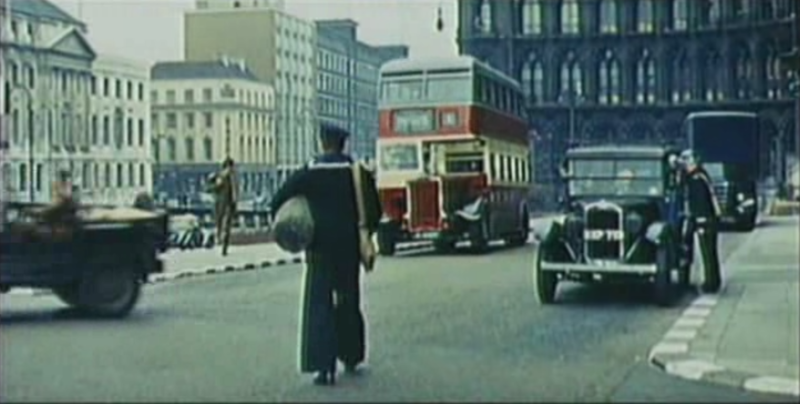 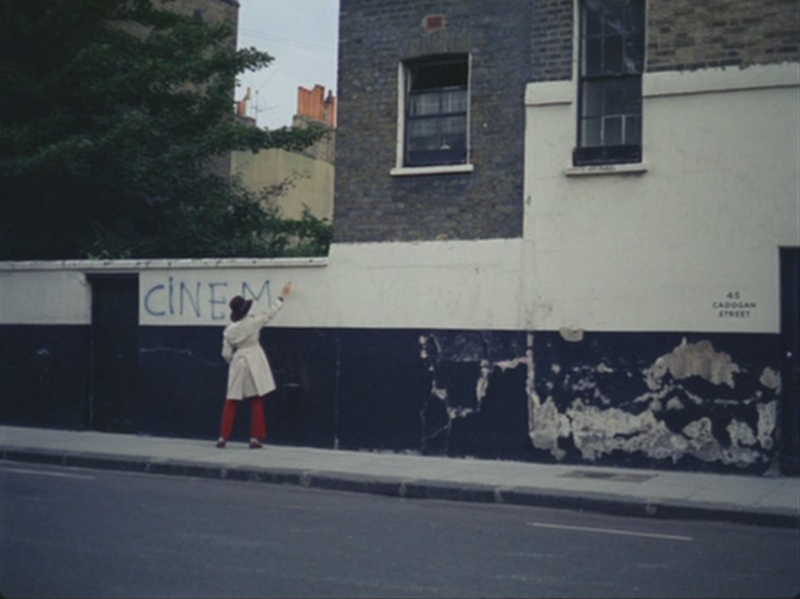 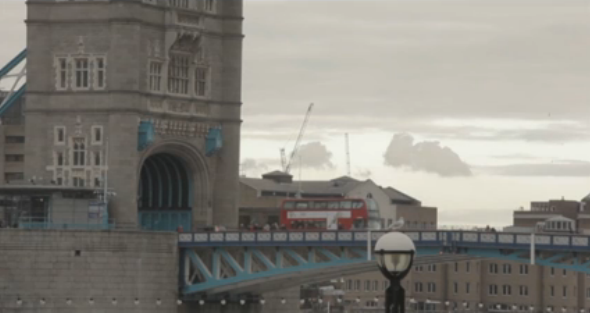 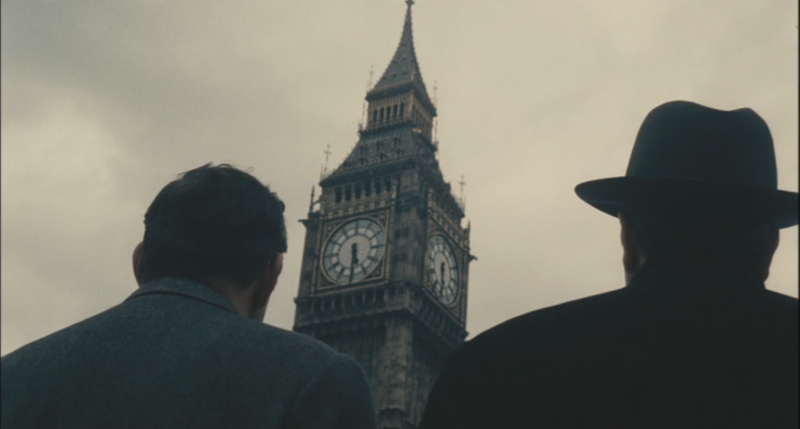 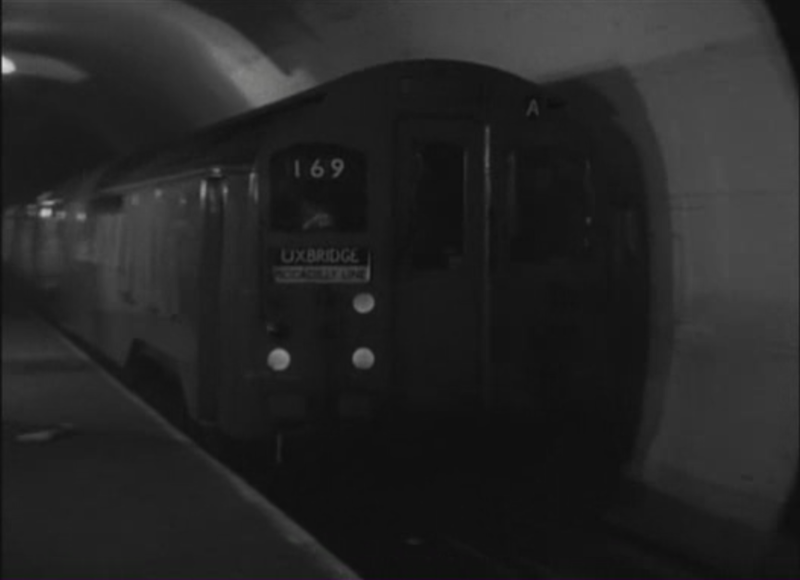 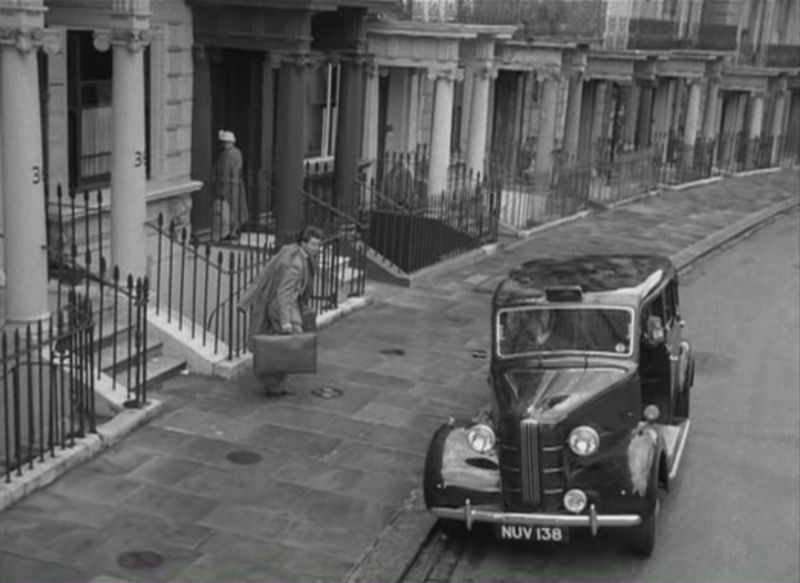 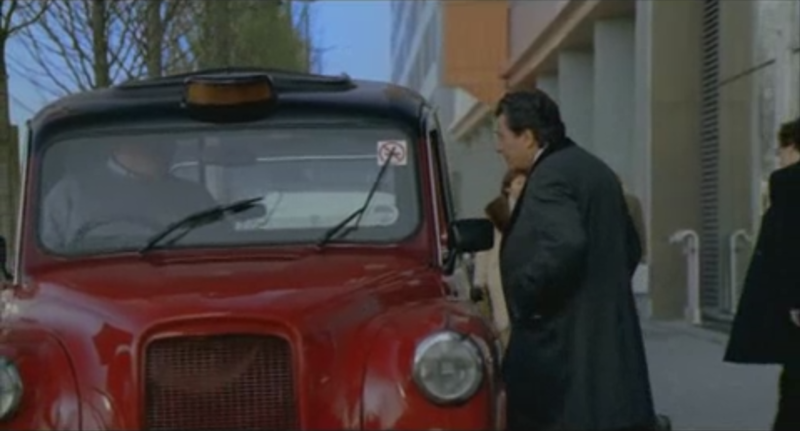 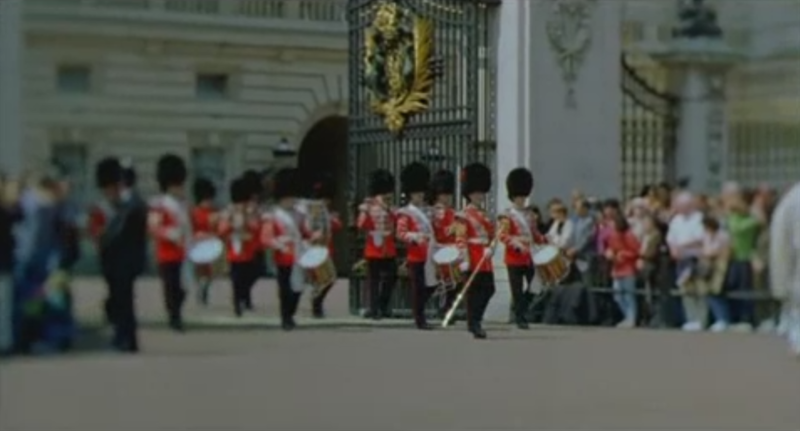 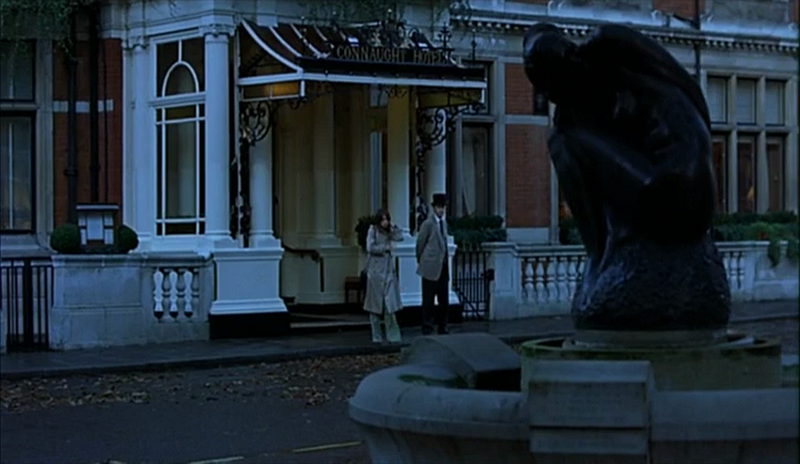 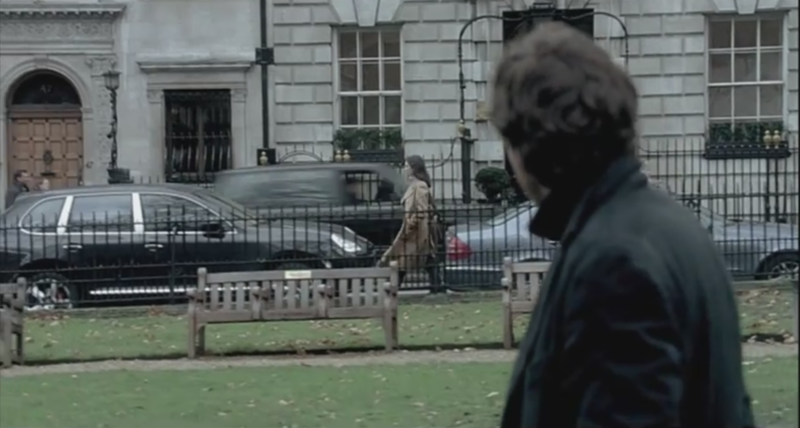 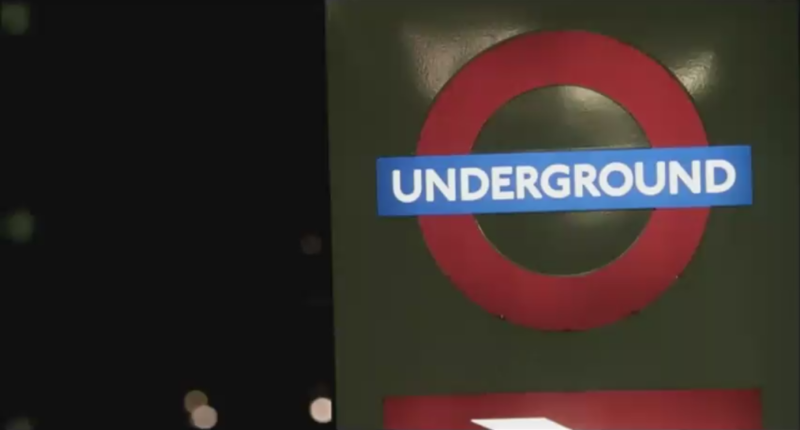 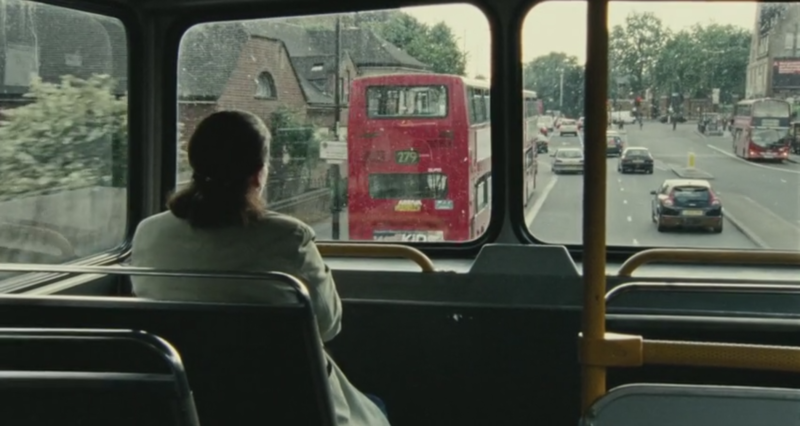 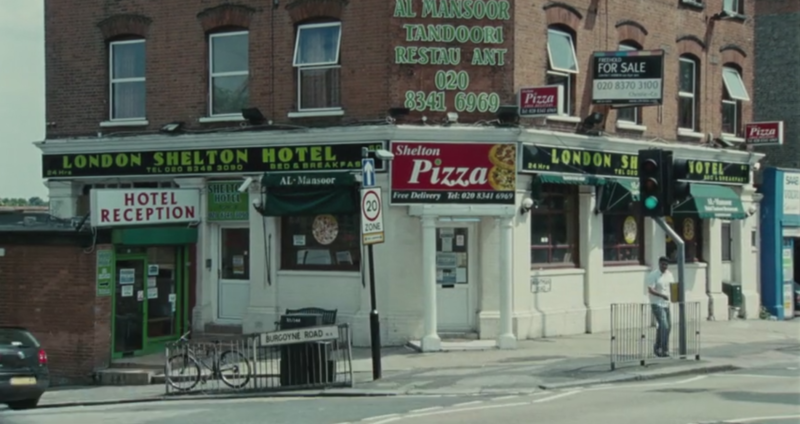 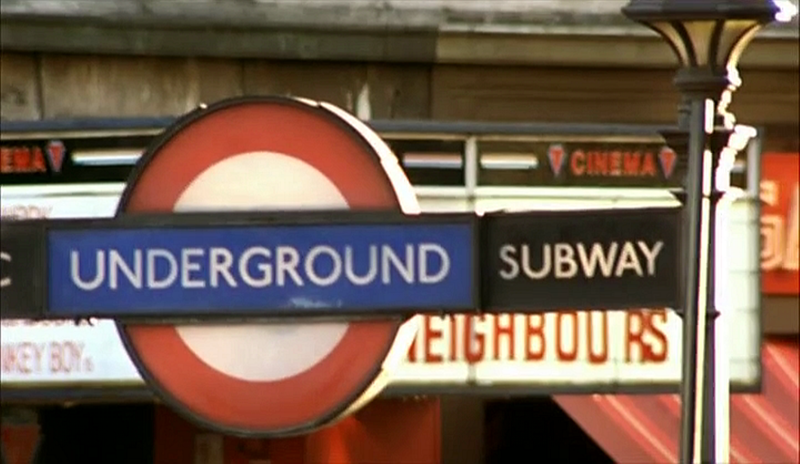 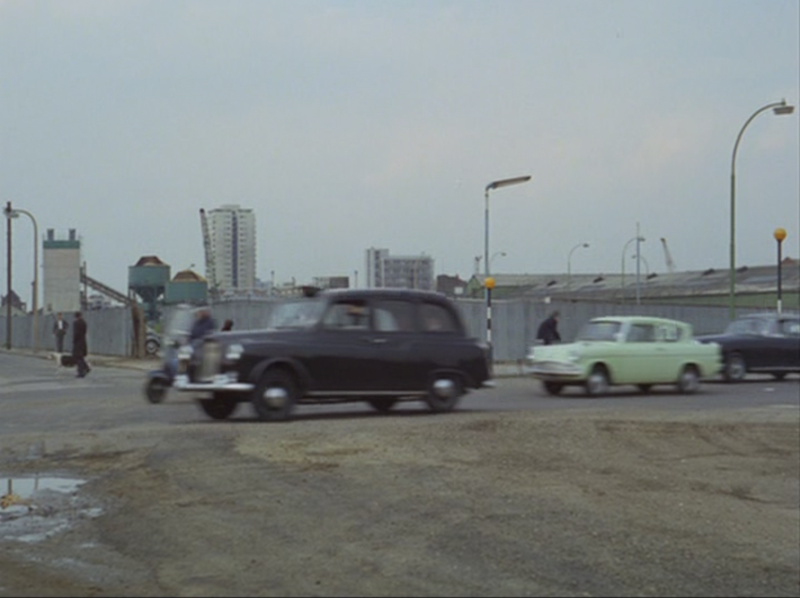 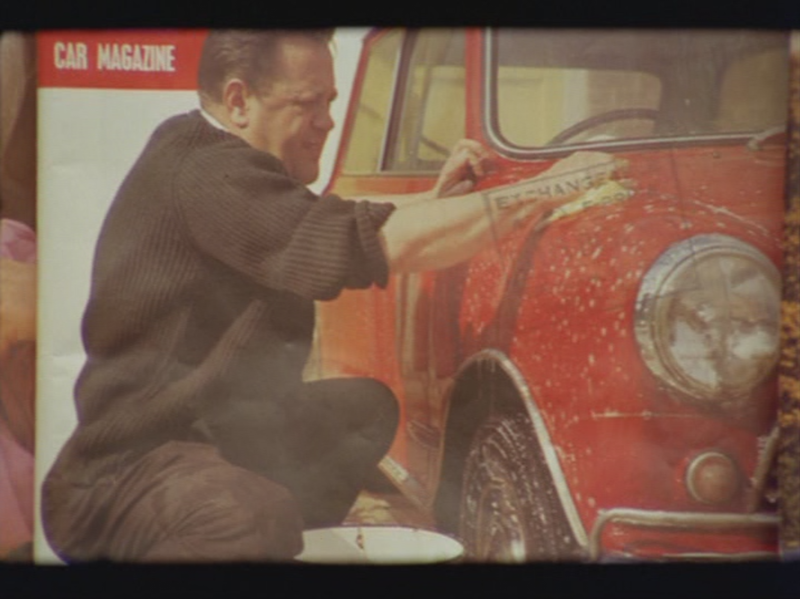 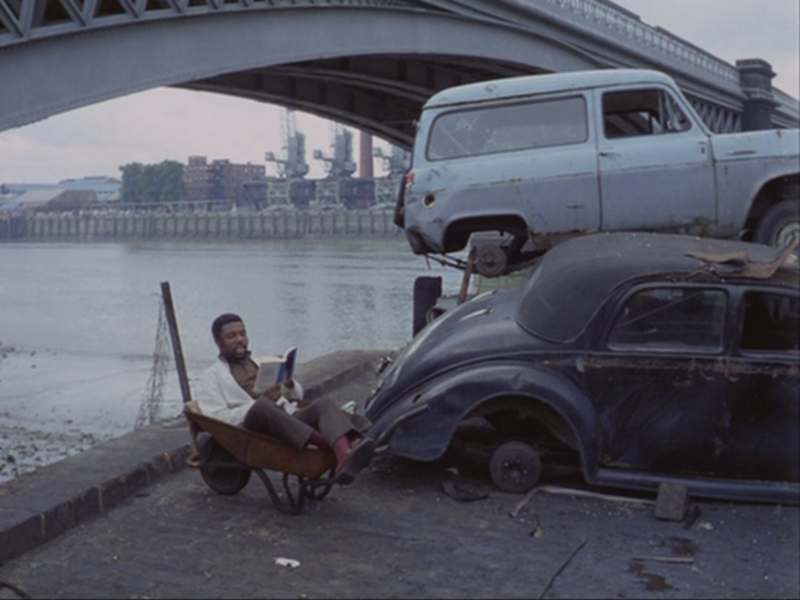 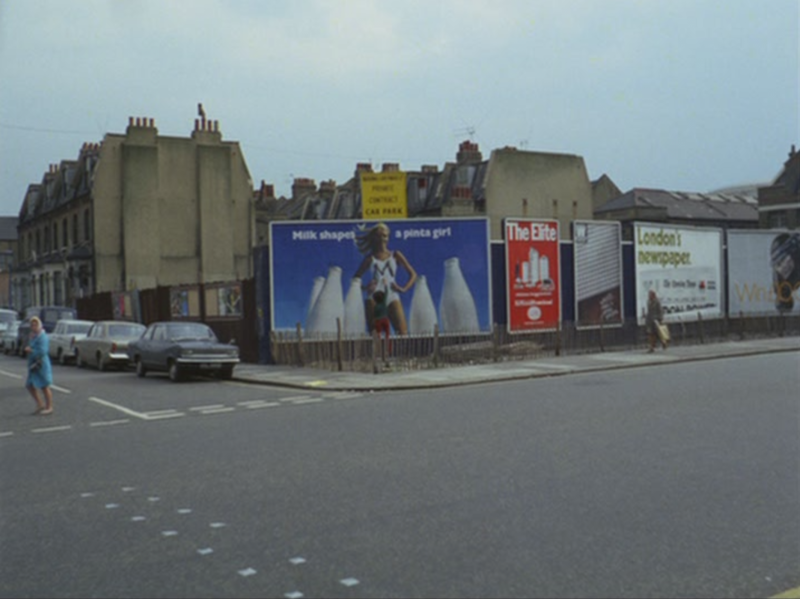 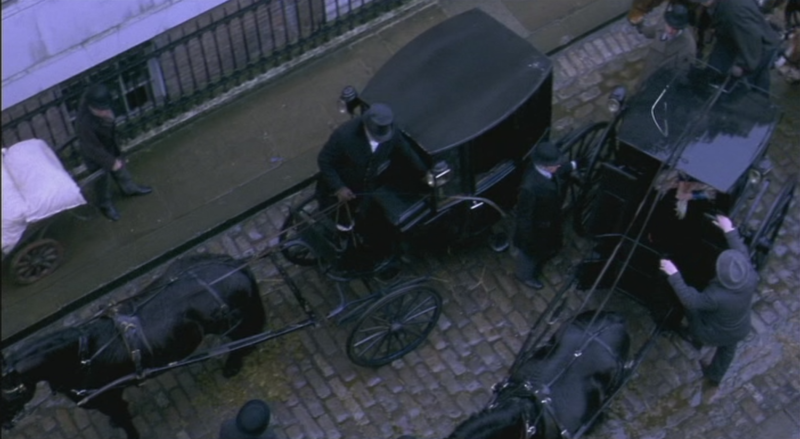 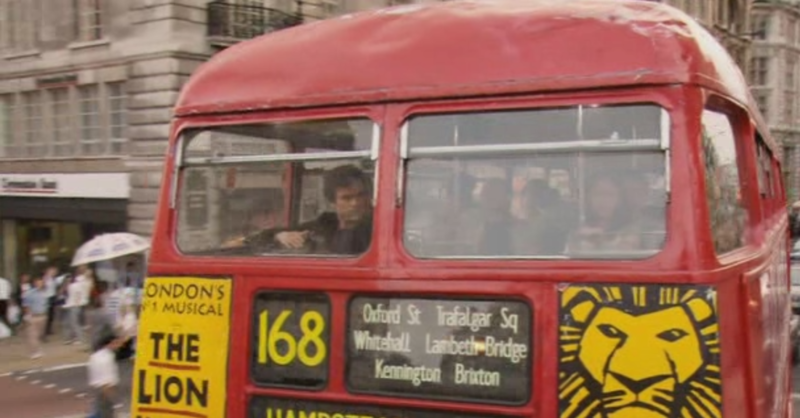 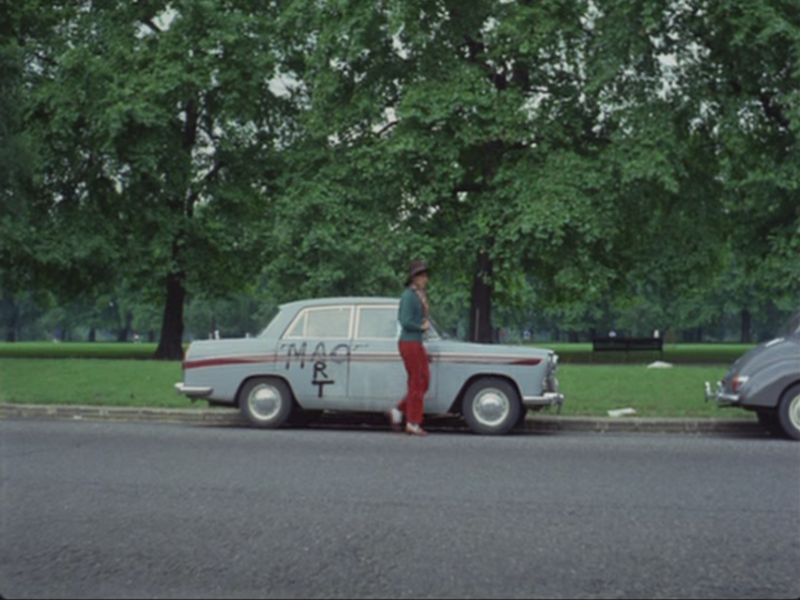 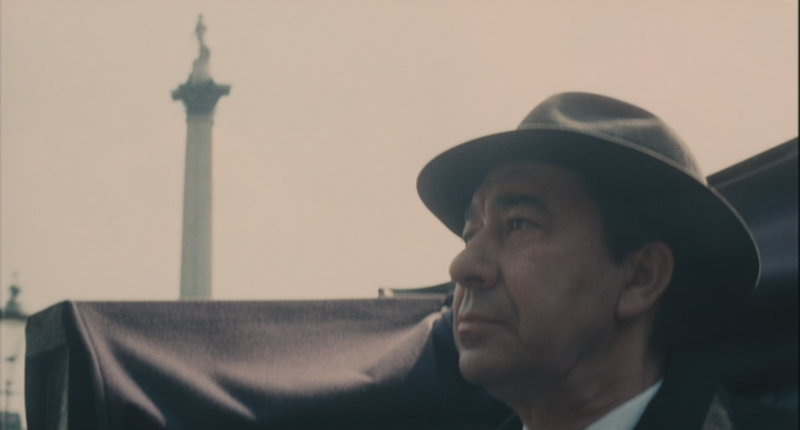 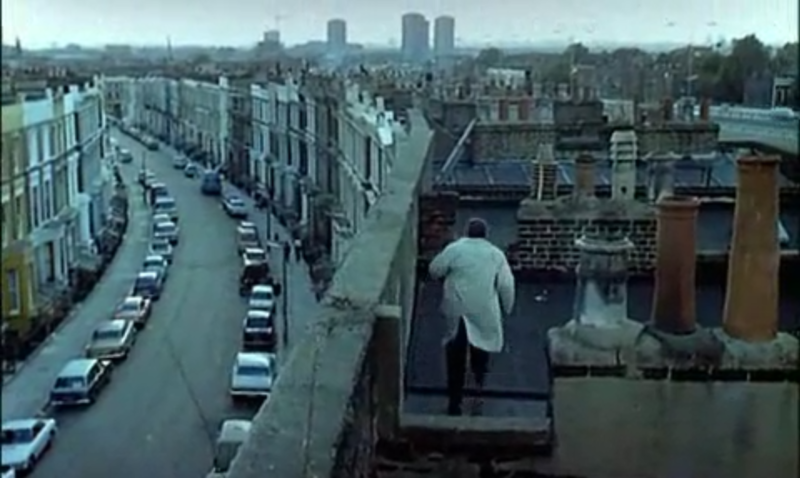 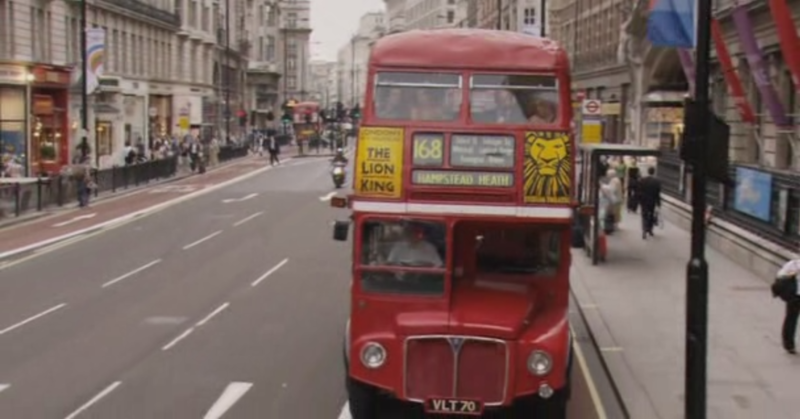 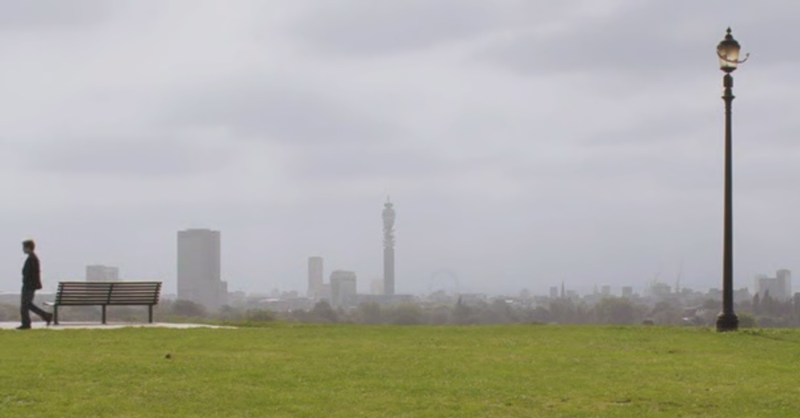 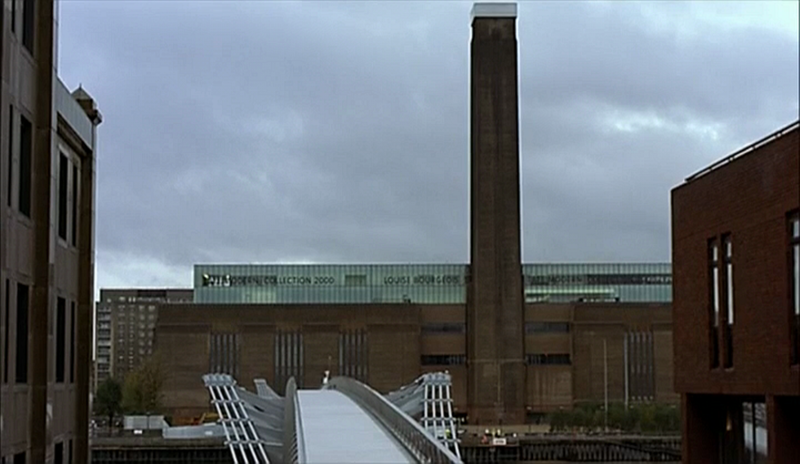 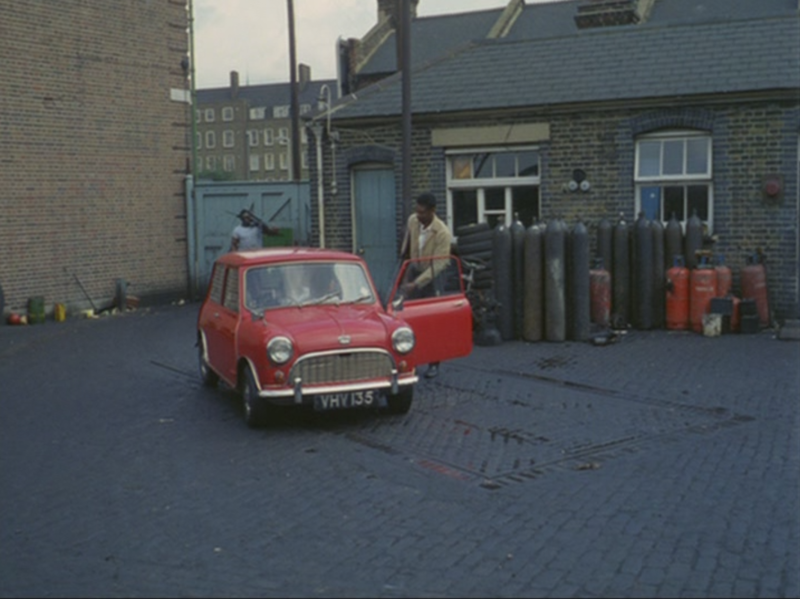 Godard's London film avoids the obvious tourist sites and Swinging streets, though it does feature a cool red Mini. 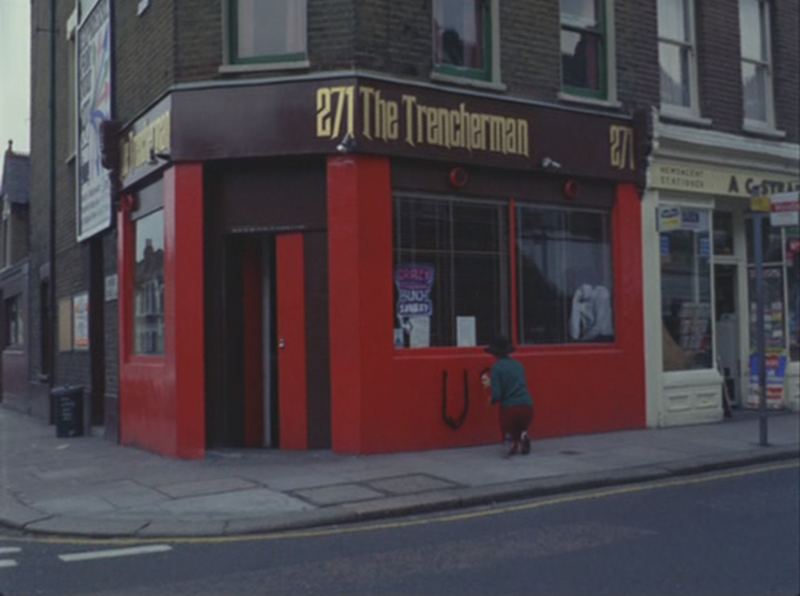 271 New King's Rd, S.W.6. 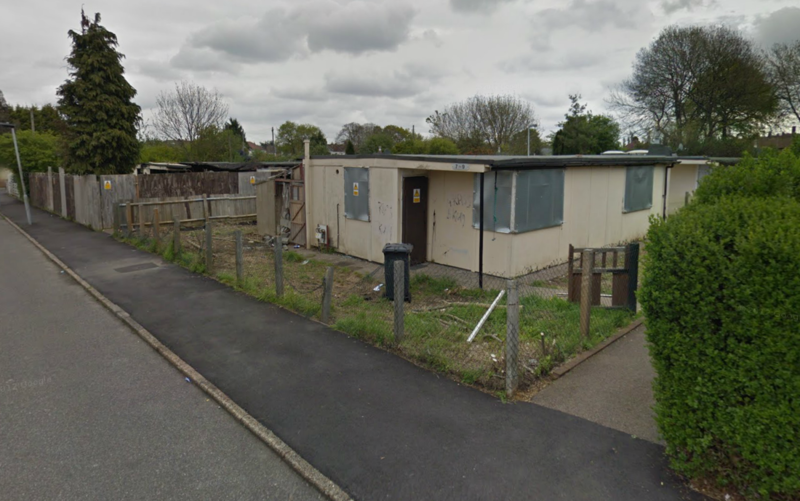 Most of the identifications above were made on the 'homelesshome' blogspot, here; there are more 'then and now' pictures here, on the Reel Streets site. 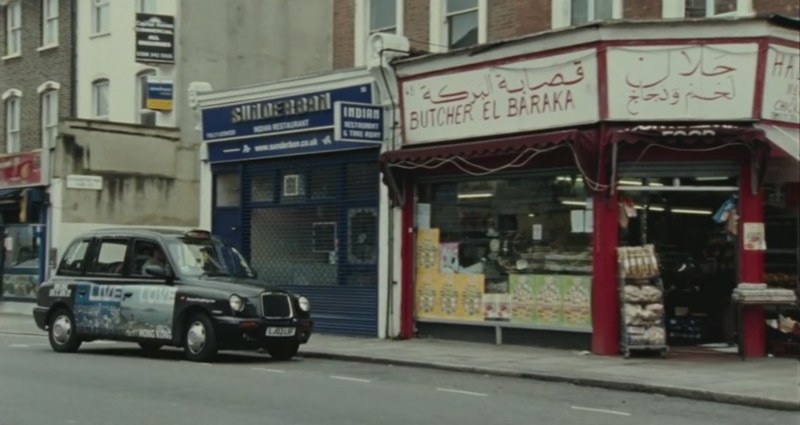 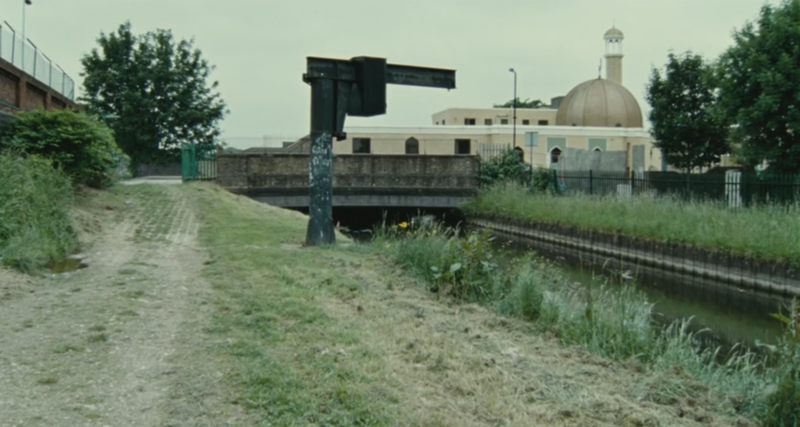 Bouchareb’s film avoids the city centre and almost all of the clichés, documenting instead the ordinary vitality of the Finsbury Park area. 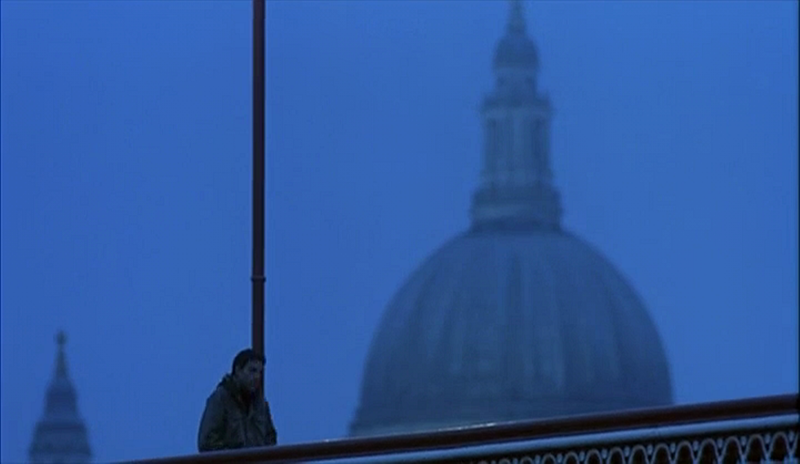 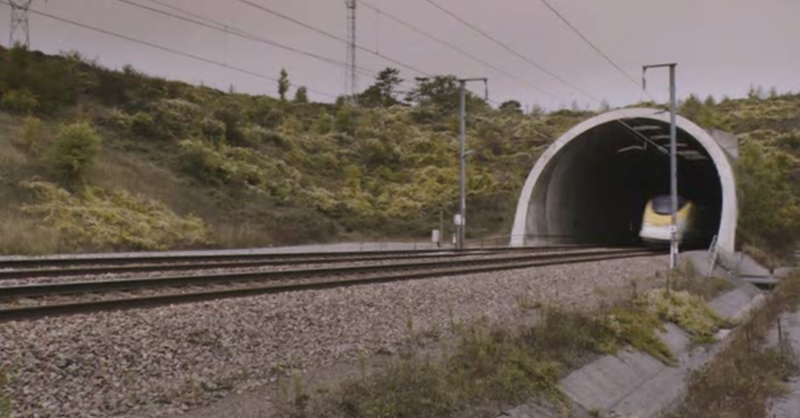 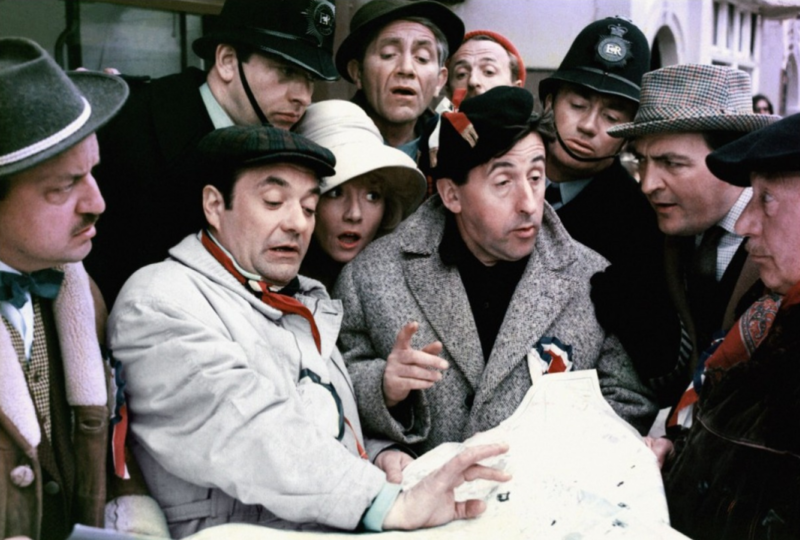 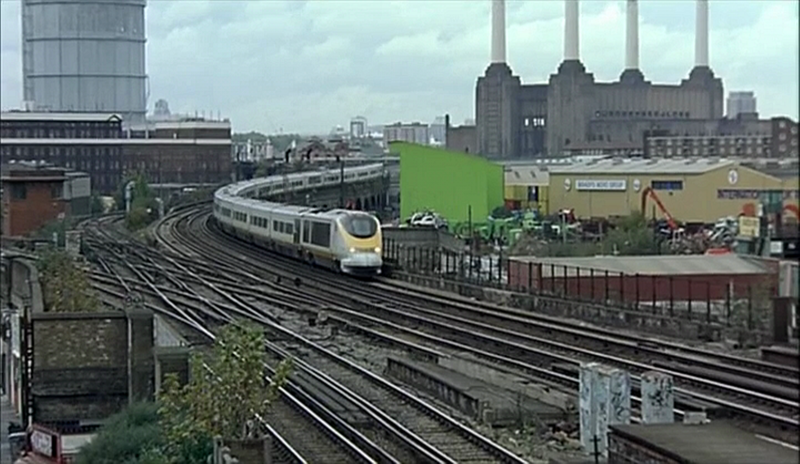 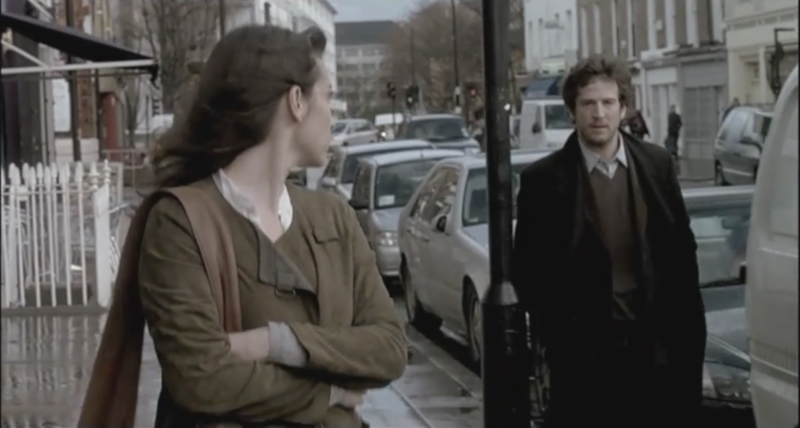 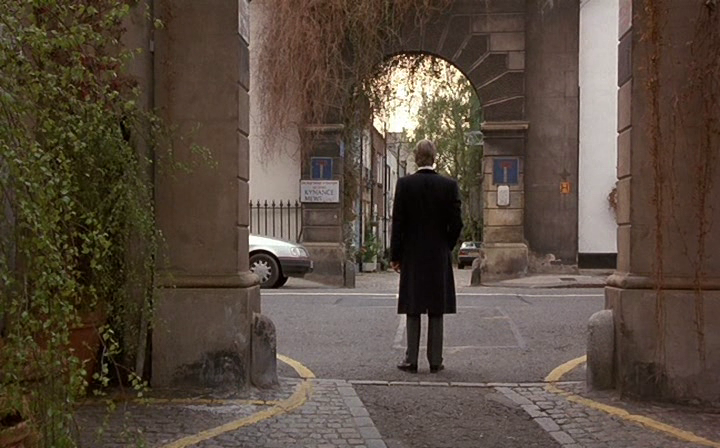 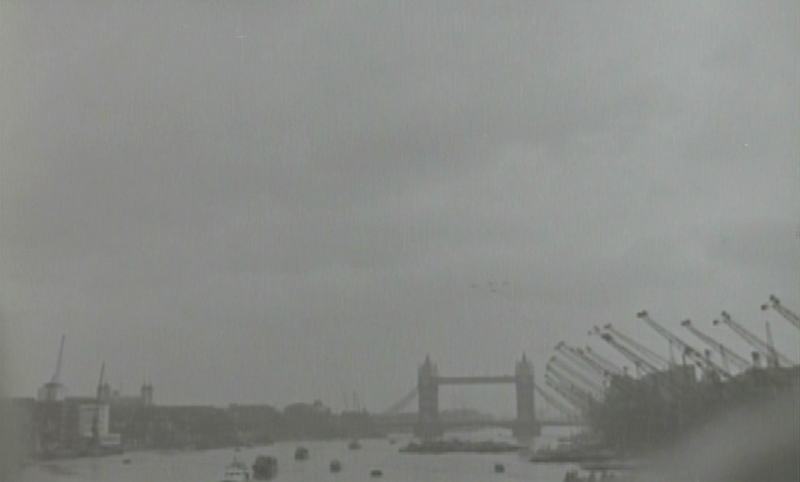 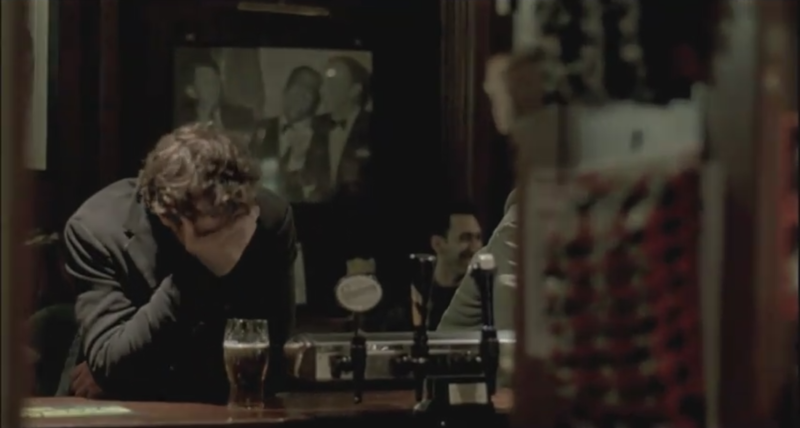 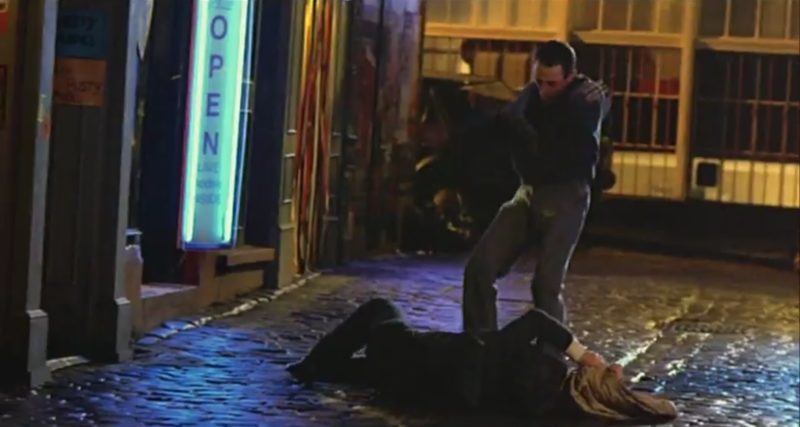 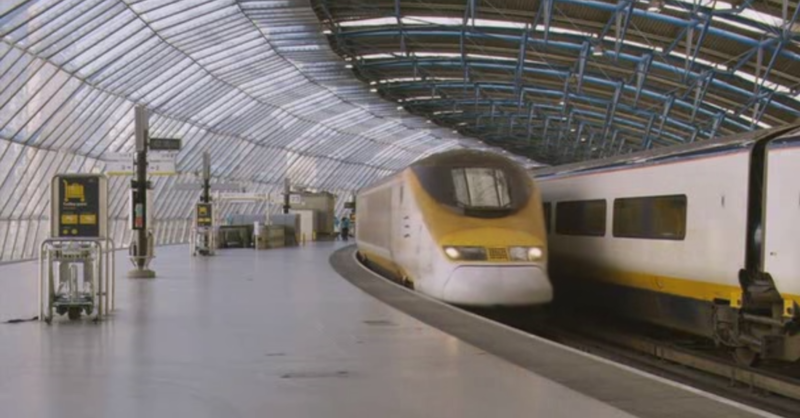 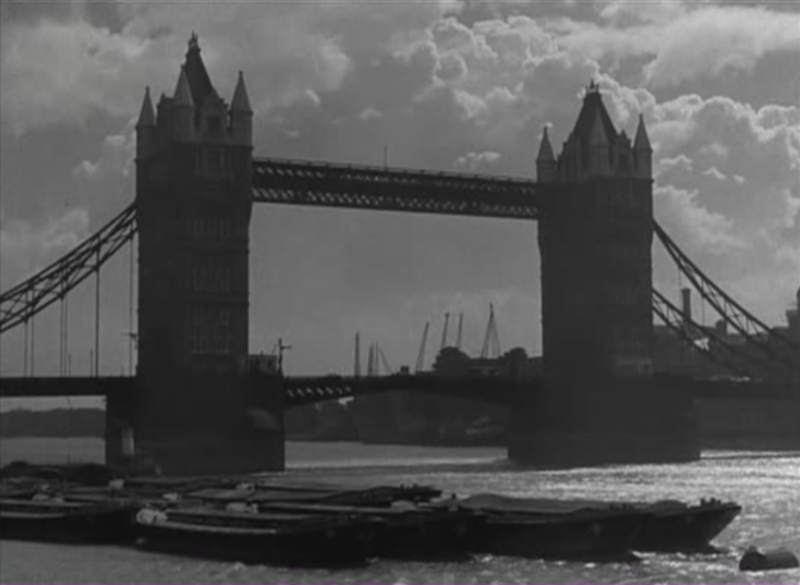 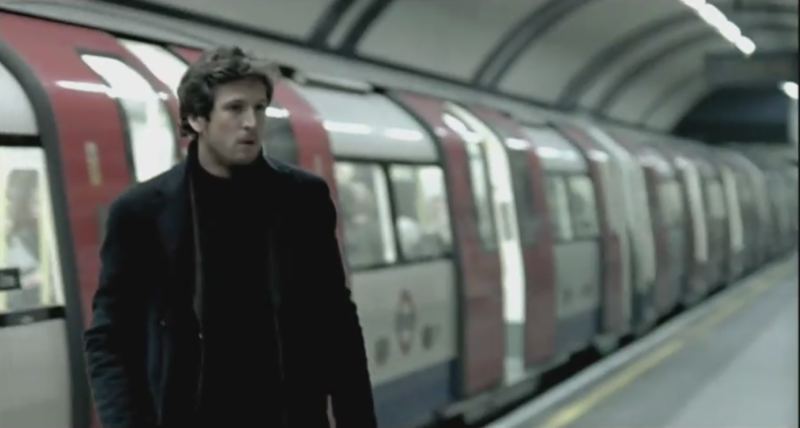 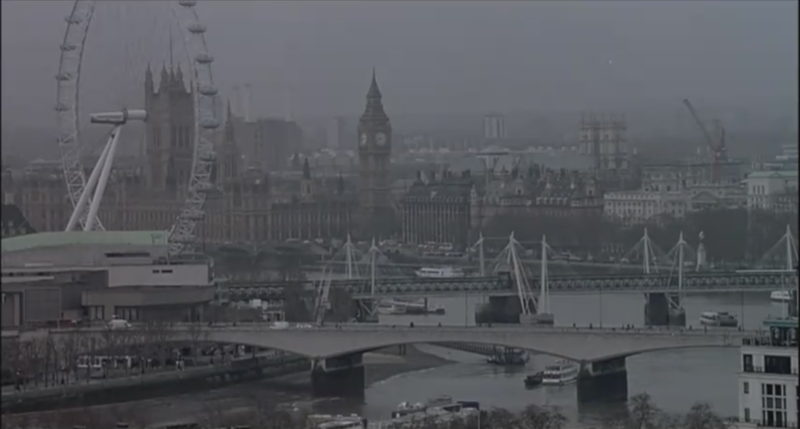 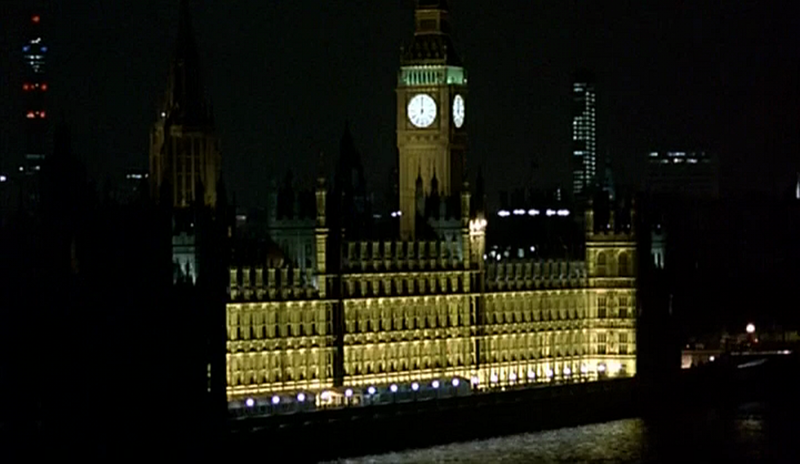 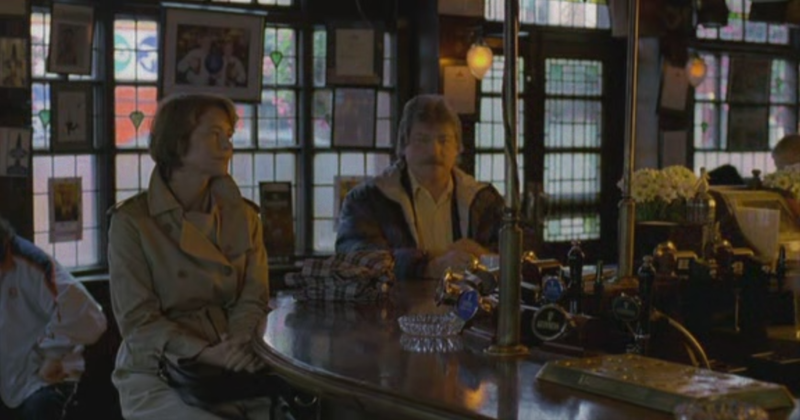 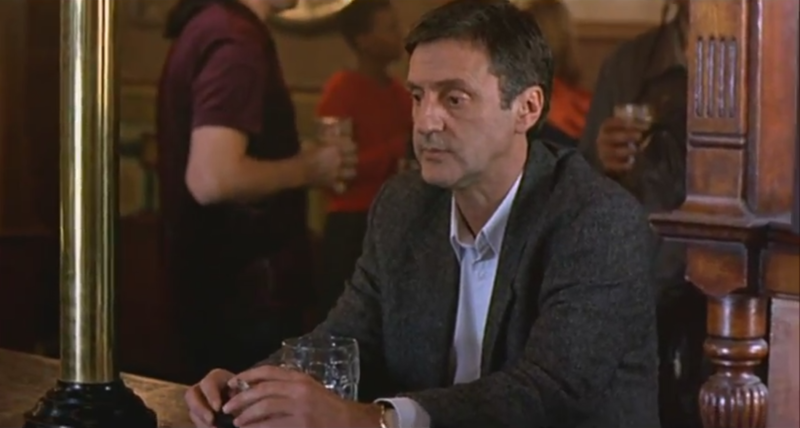 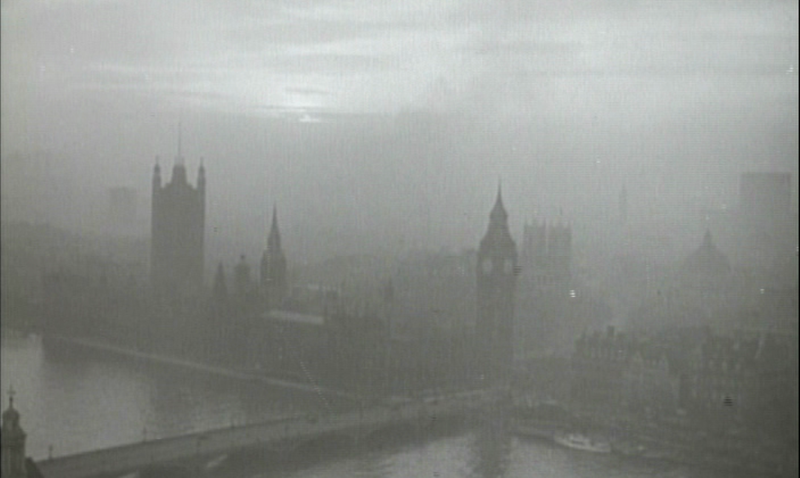 London River is French cinema’s most accurate and most affecting vision of London. 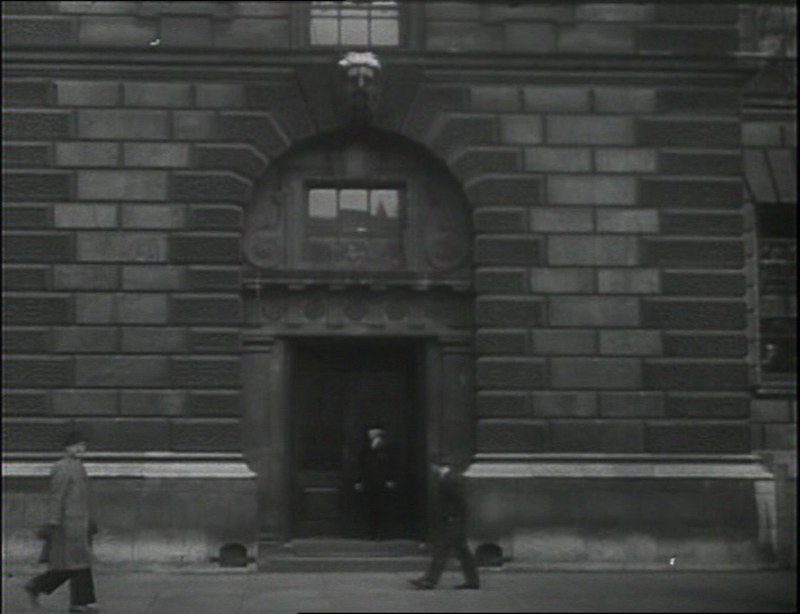 This post was a supplement to the Through Different Eyes event on May 11 & 12 2013 as part of Something Else for the Weekend, which was part of UCL's Festival of the Arts.